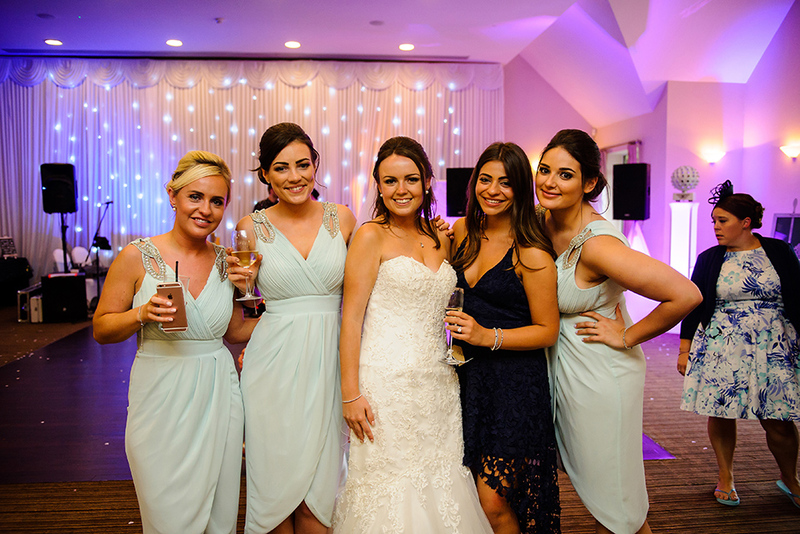 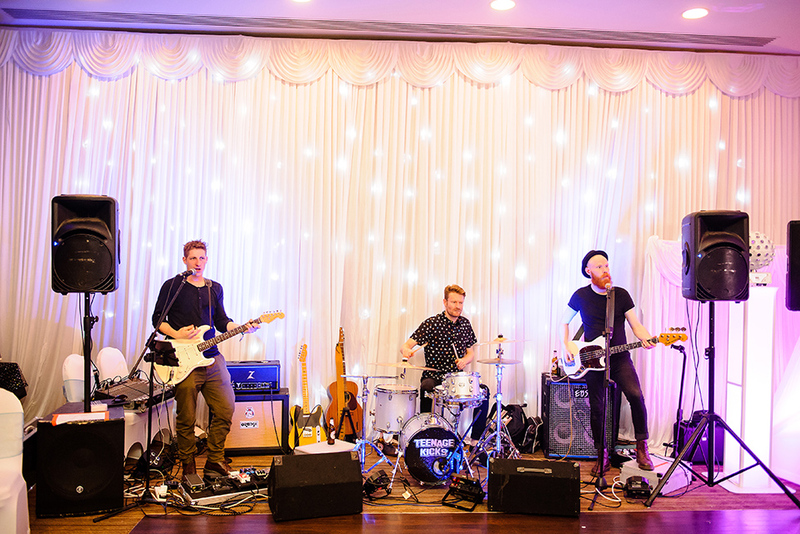 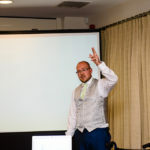 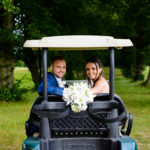 Aldwickbury Park Golf Club is a beautiful venue located just outside London. 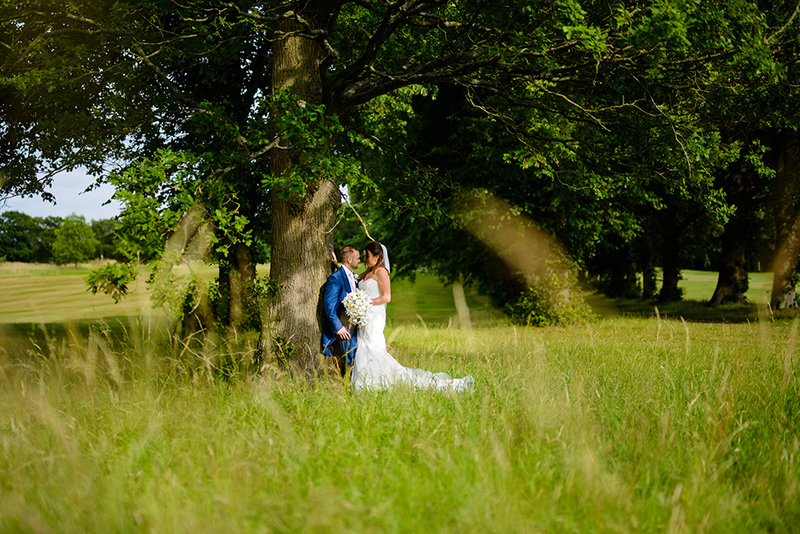 You really need to visit this venue so you can truly experience the beauty of the grounds. 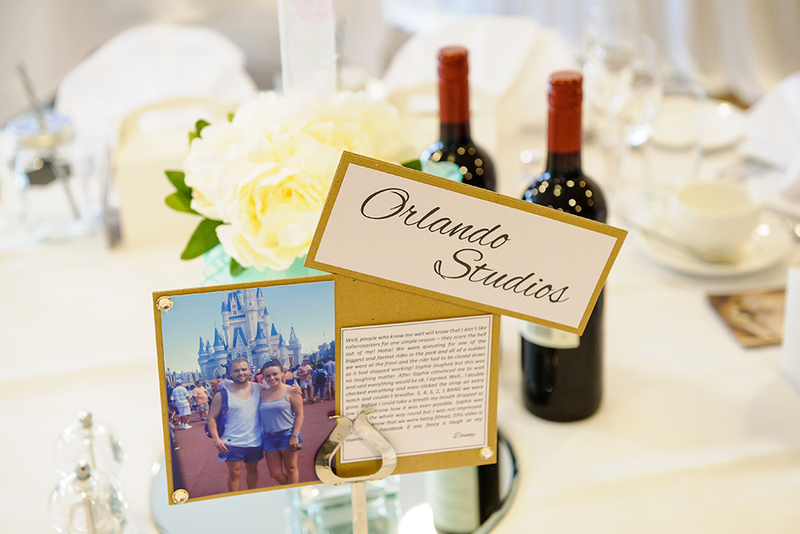 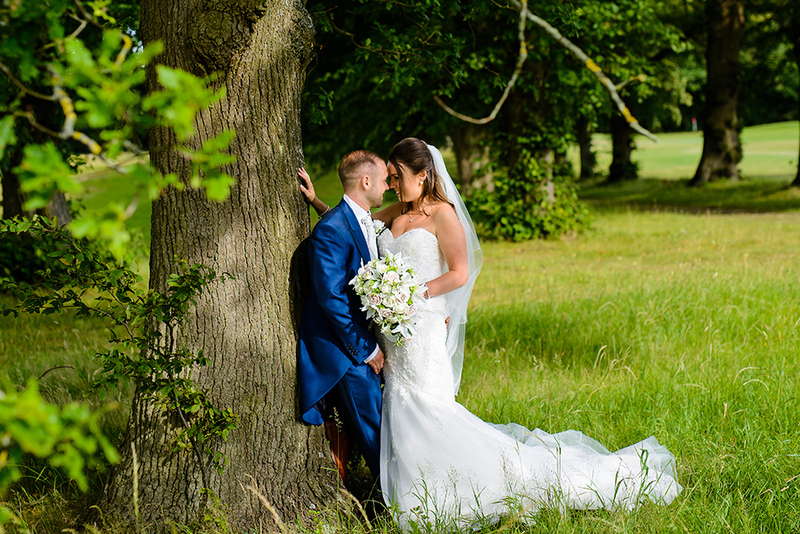 Lots of green, a beautiful lake, beautiful landscaped tree alley – it’s truly an exceptional wedding venue. 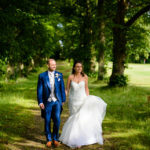 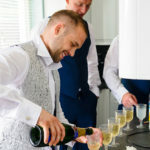 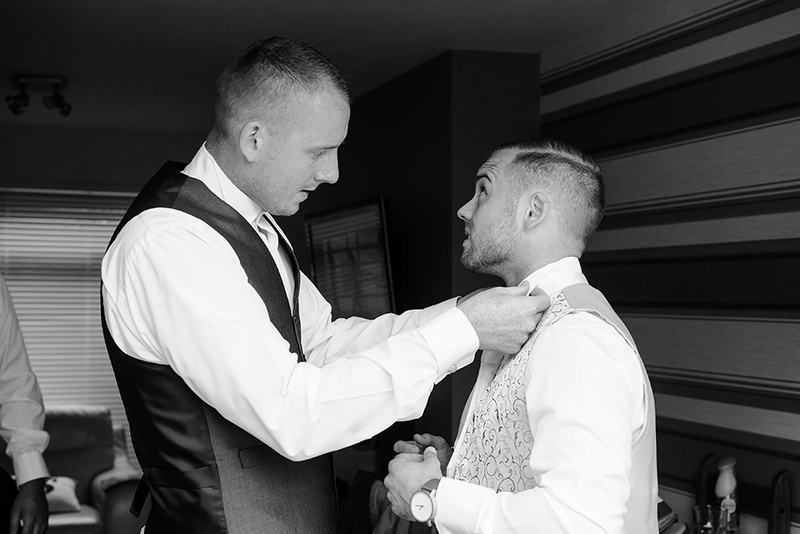 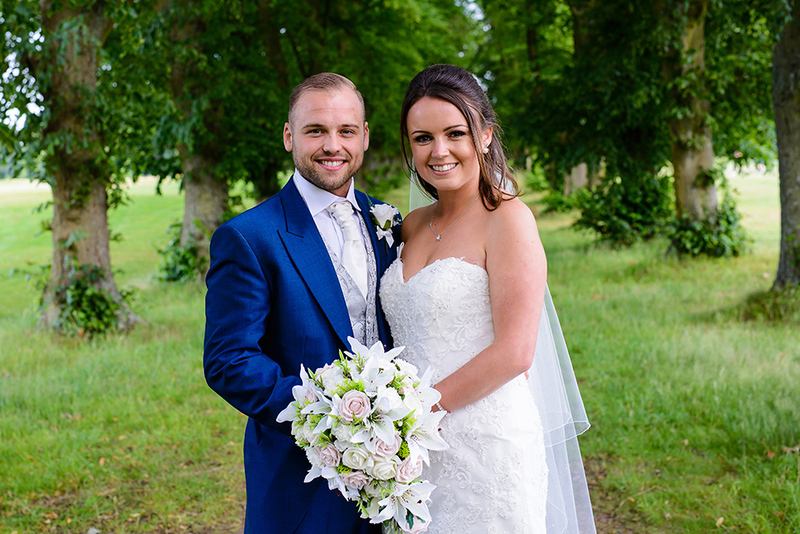 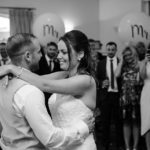 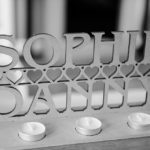 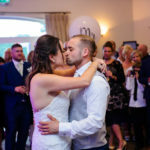 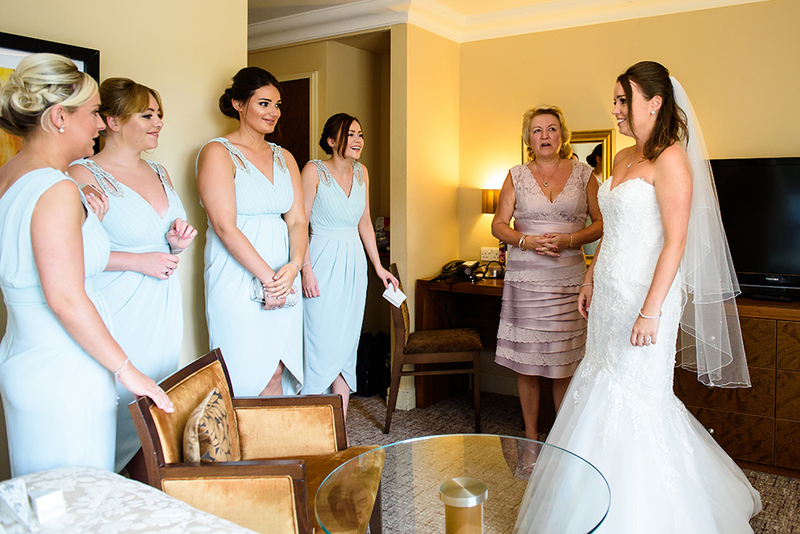 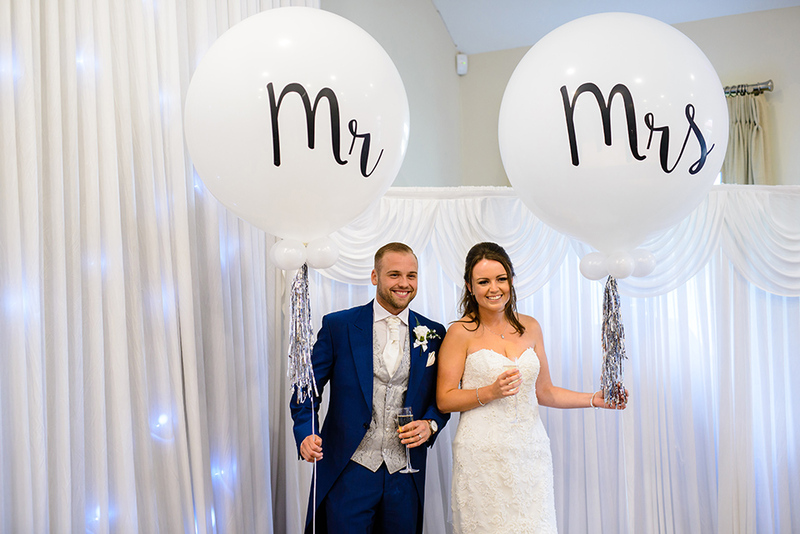 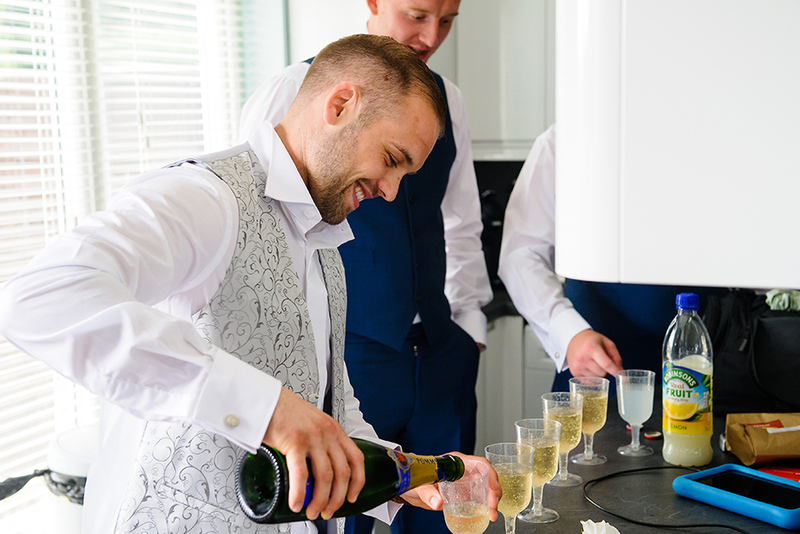 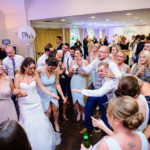 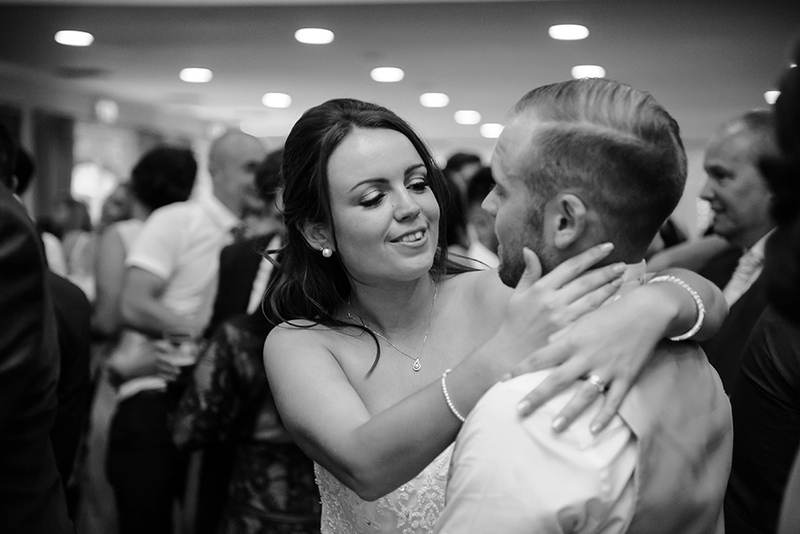 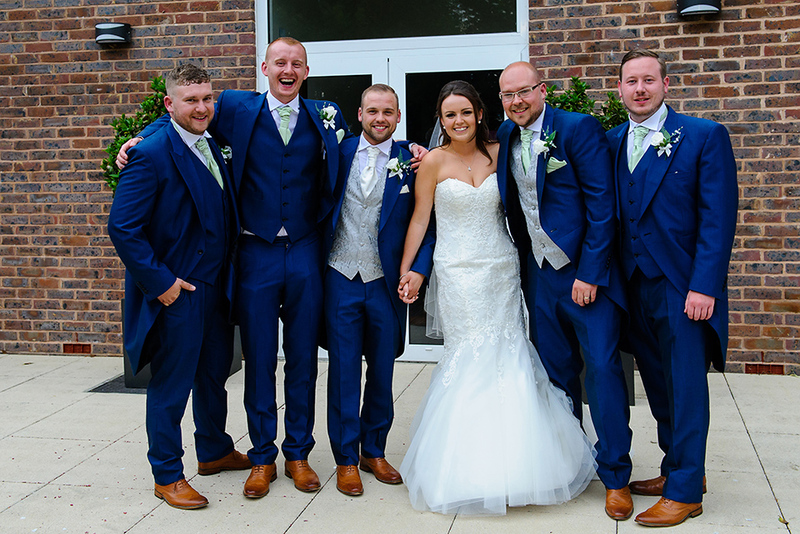 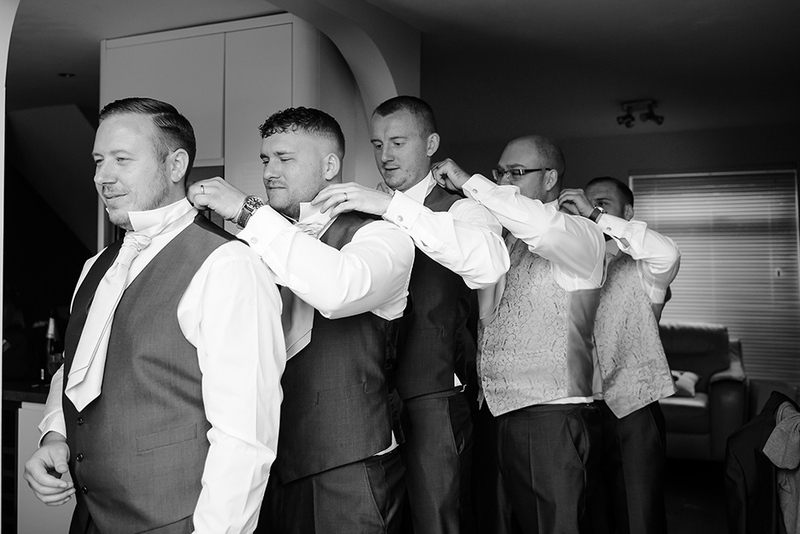 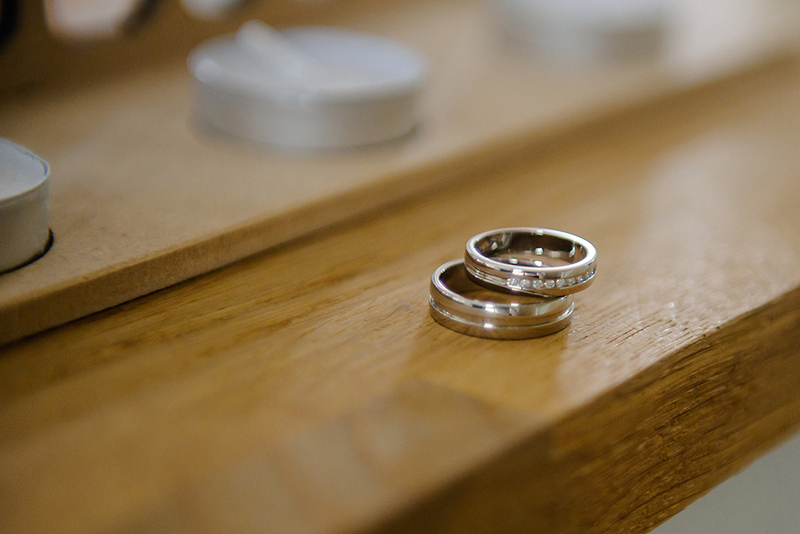 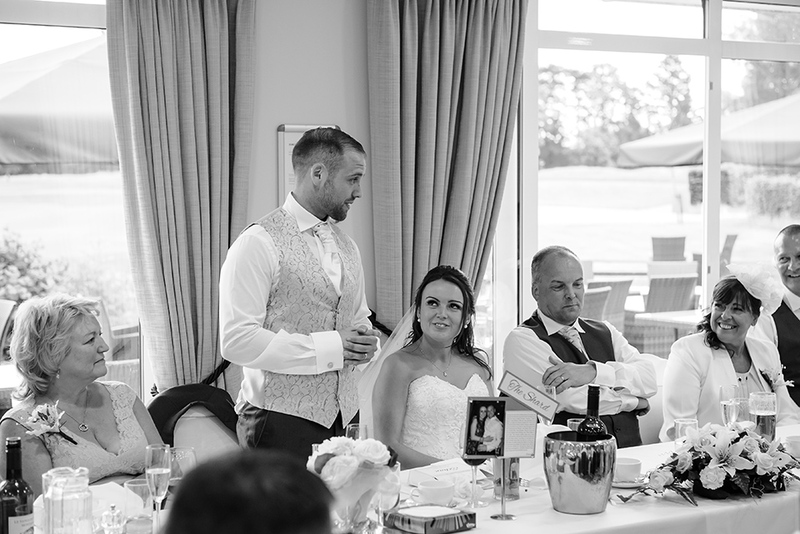 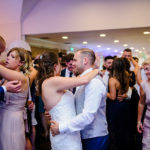 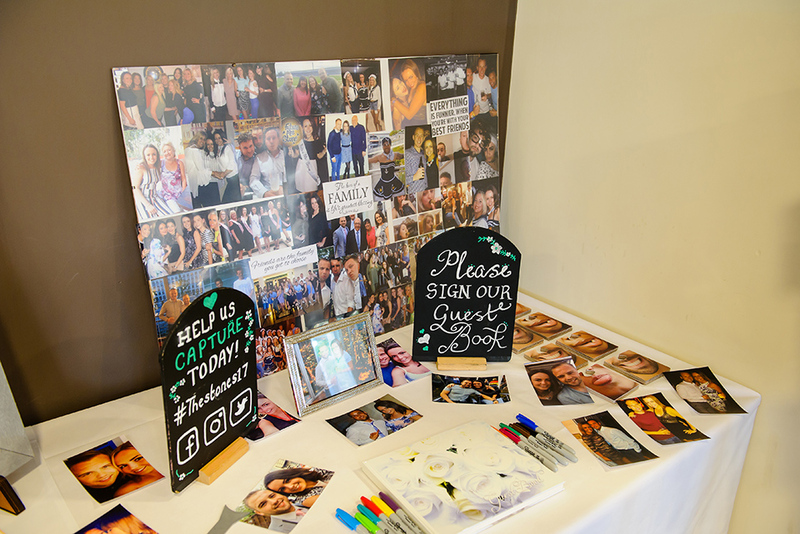 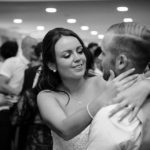 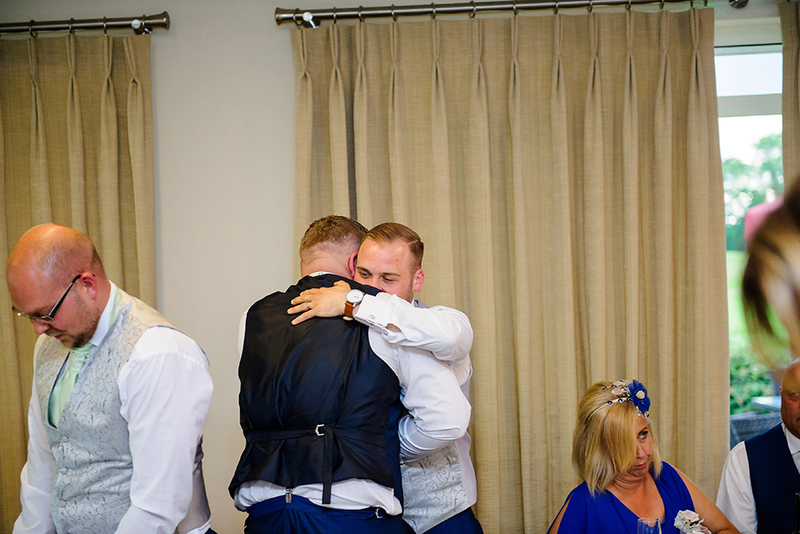 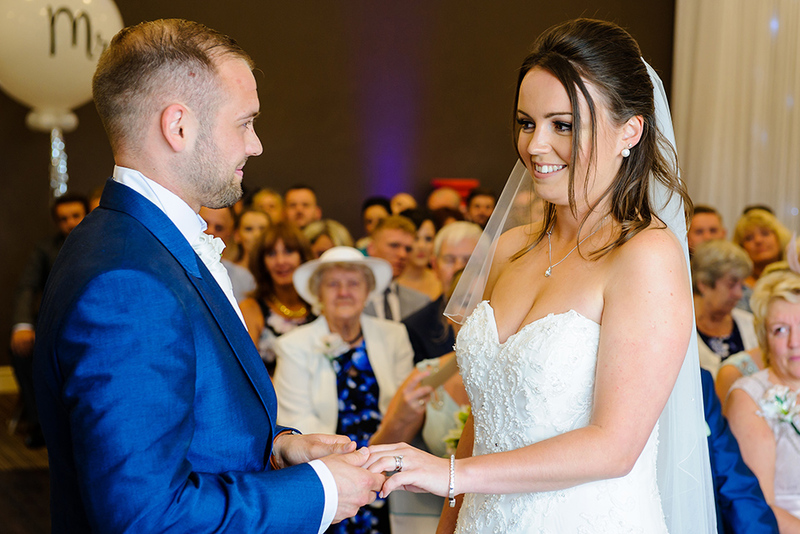 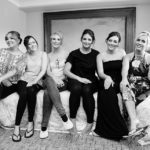 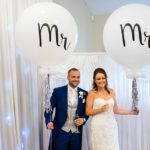 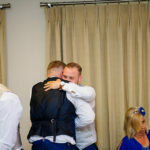 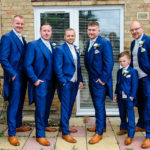 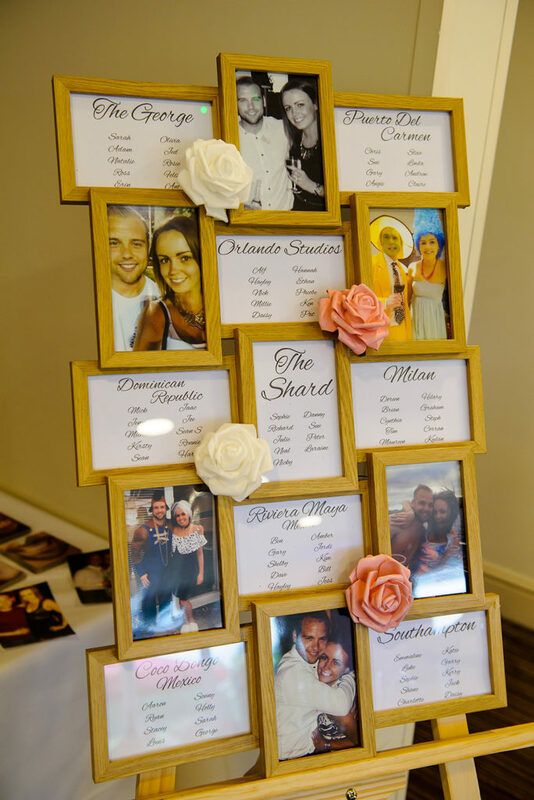 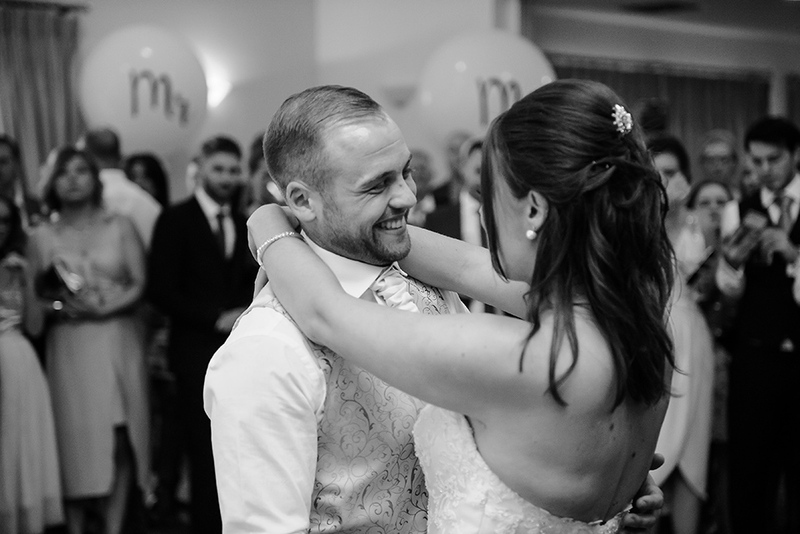 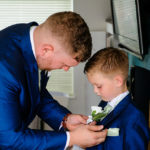 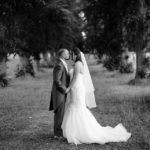 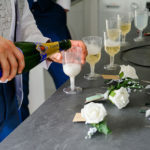 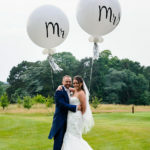 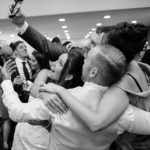 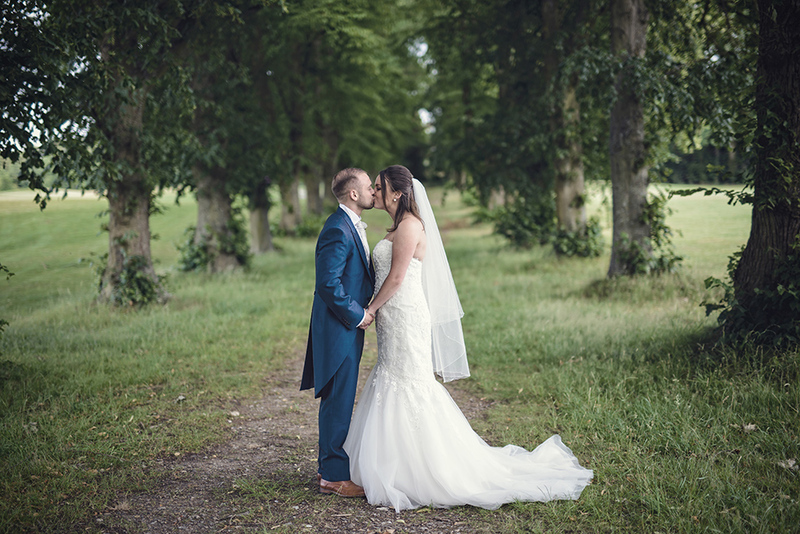 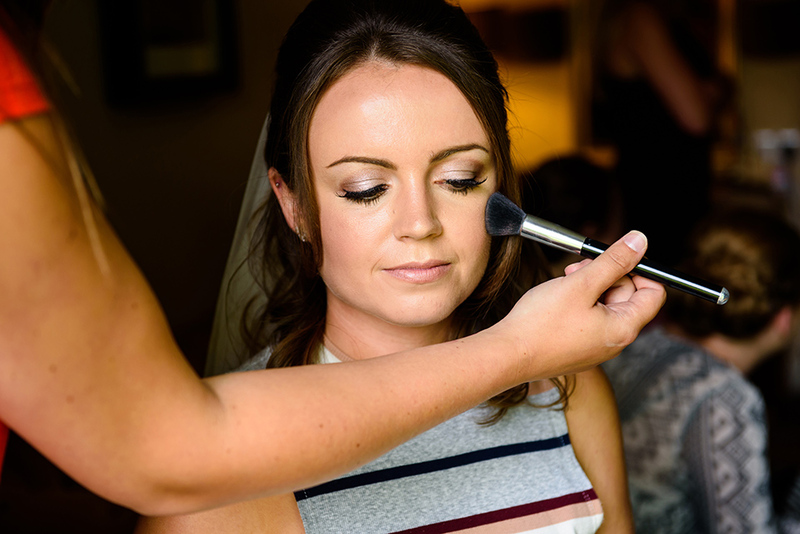 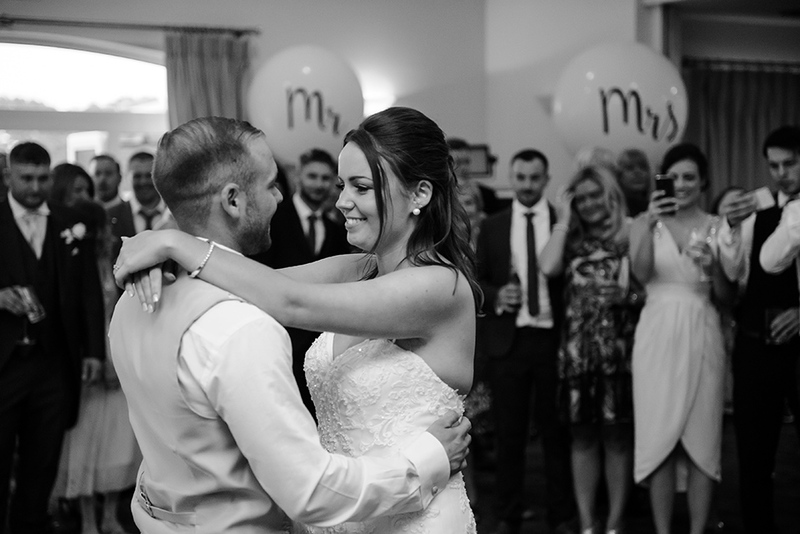 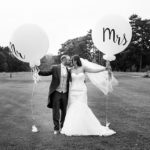 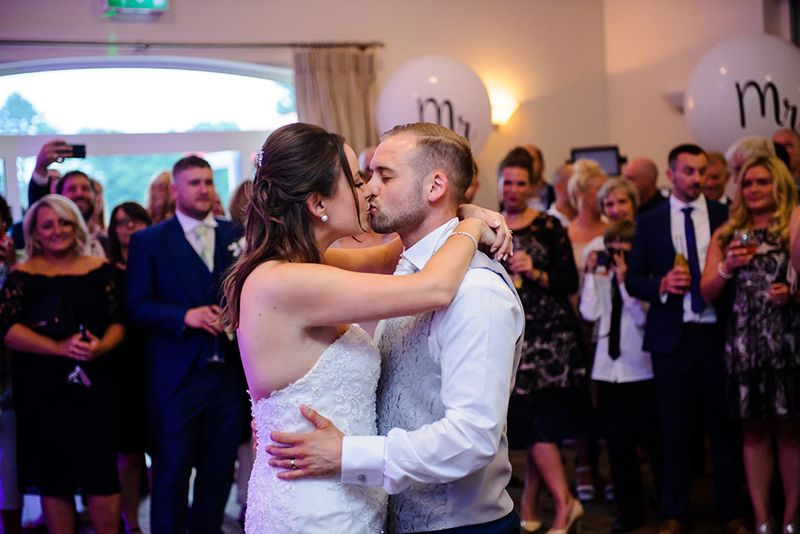 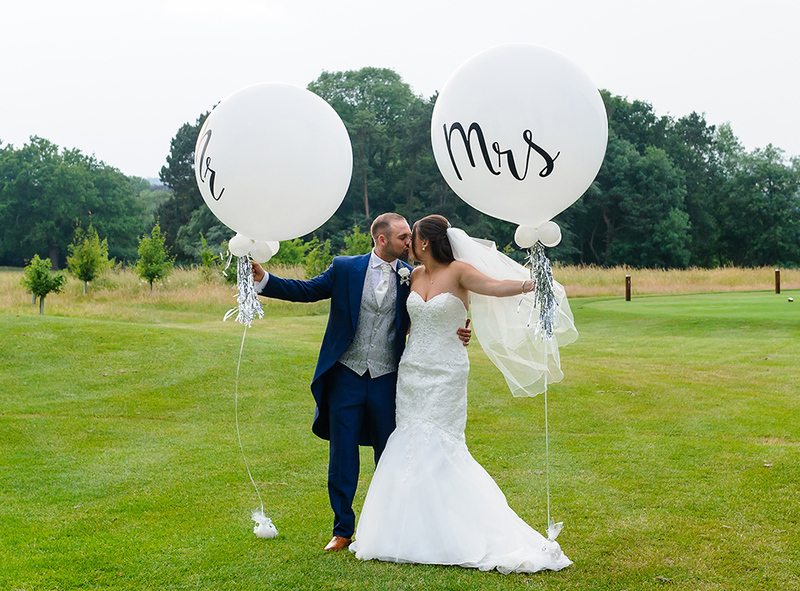 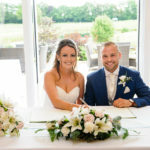 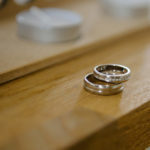 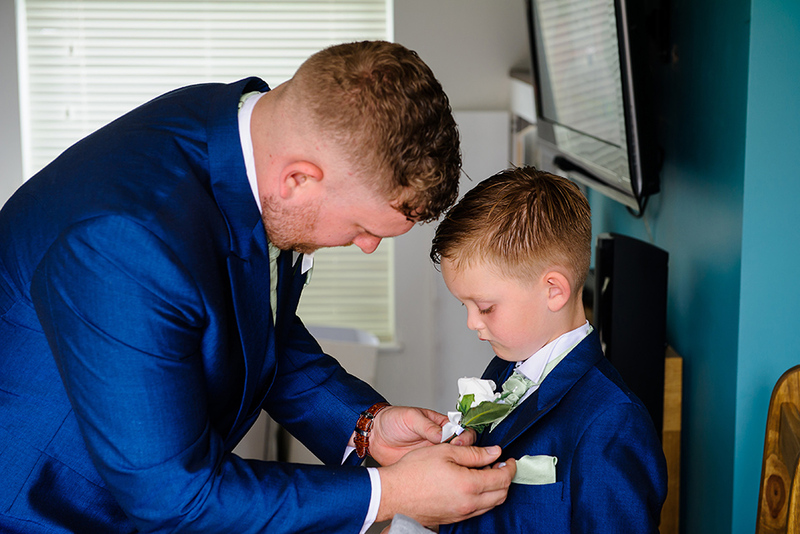 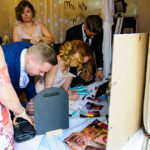 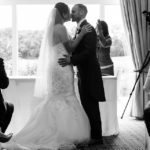 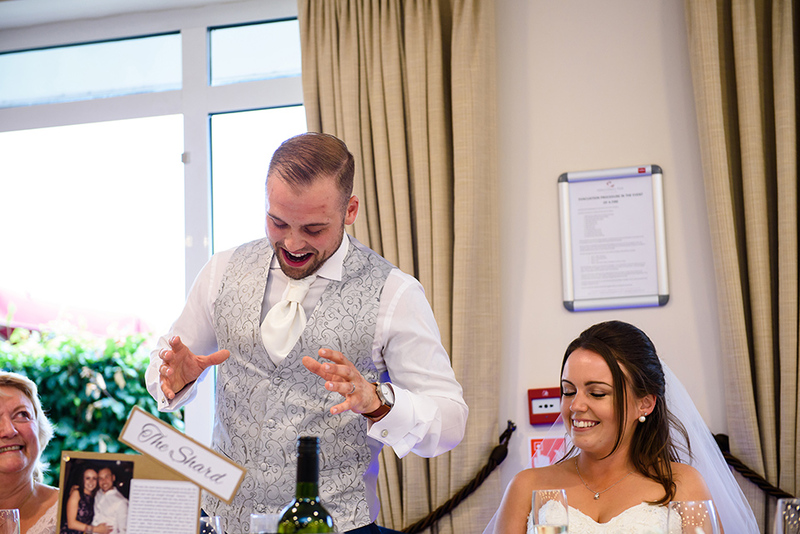 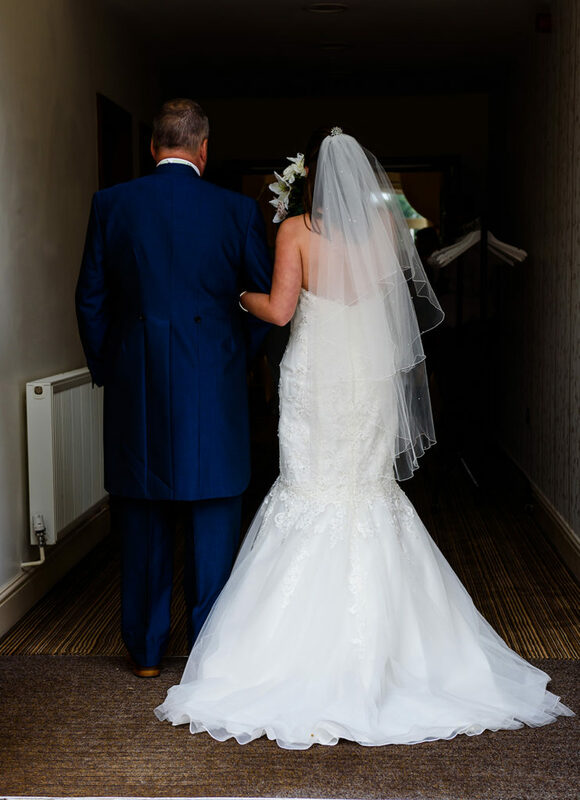 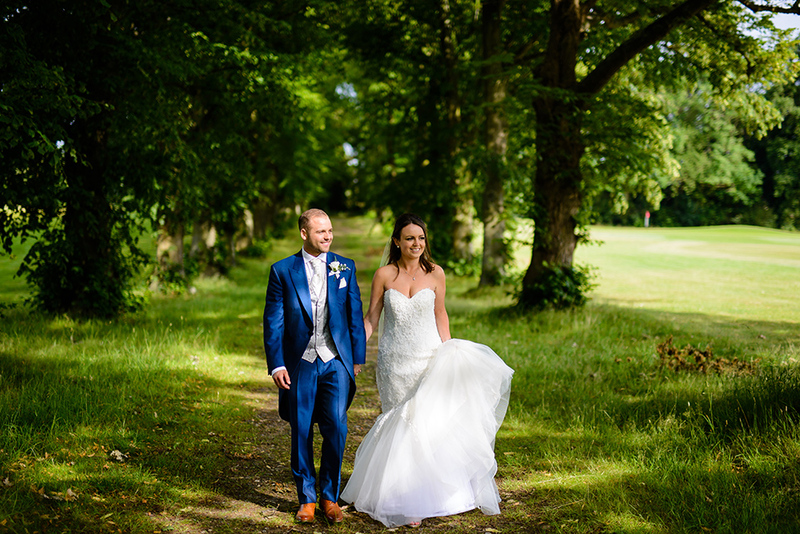 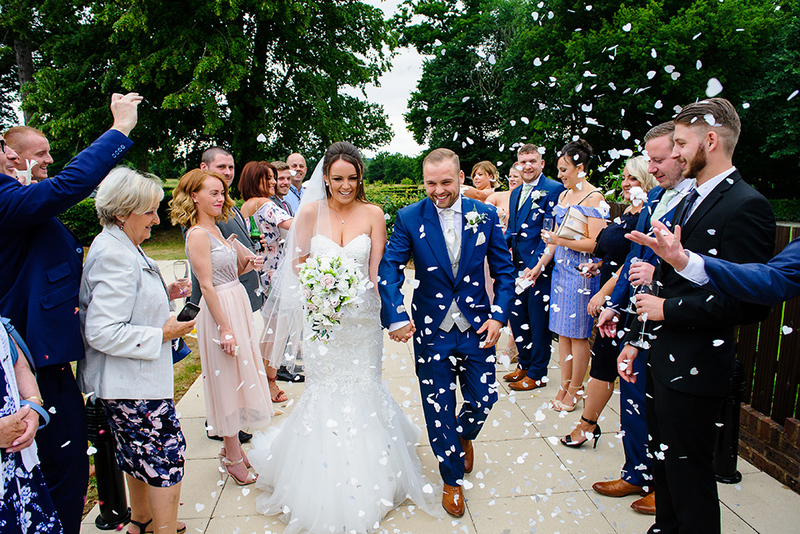 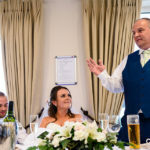 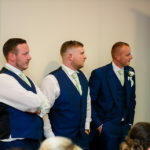 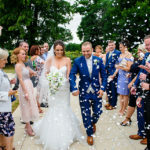 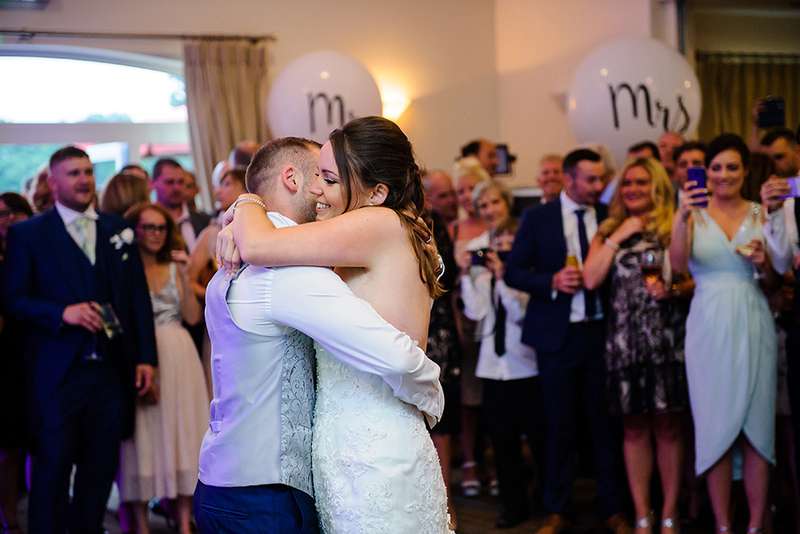 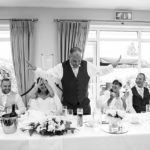 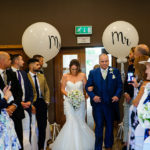 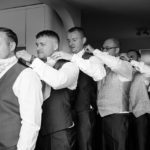 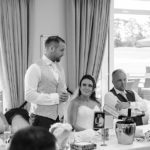 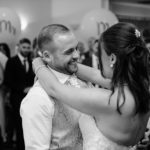 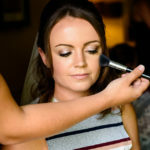 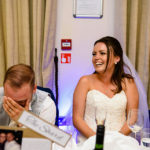 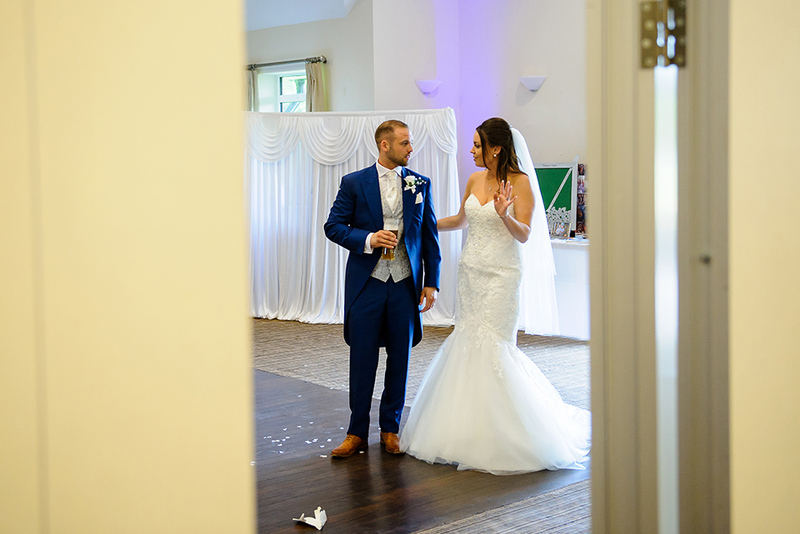 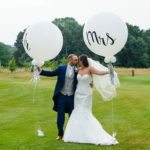 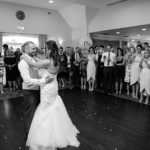 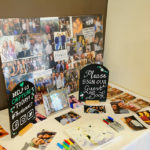 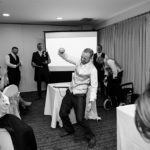 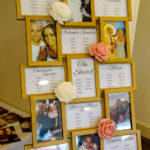 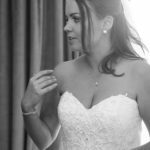 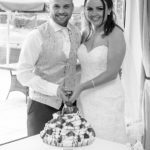 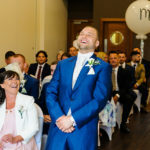 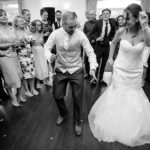 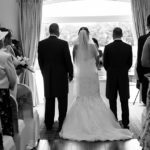 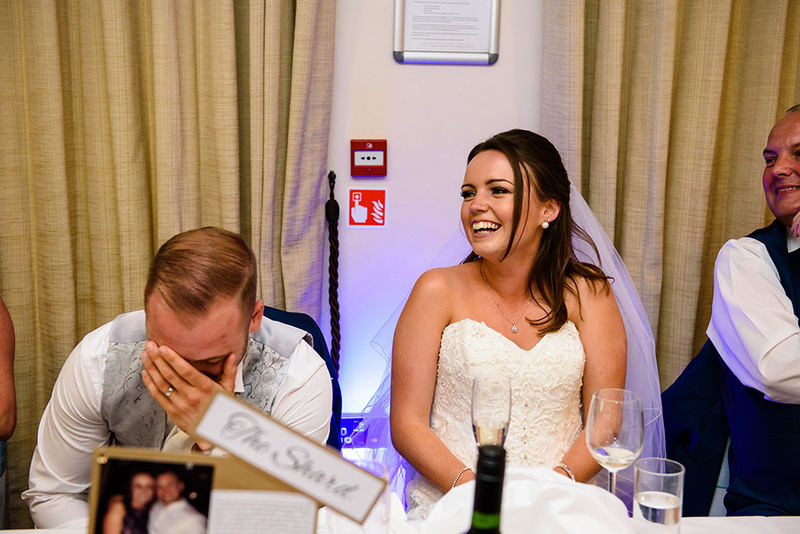 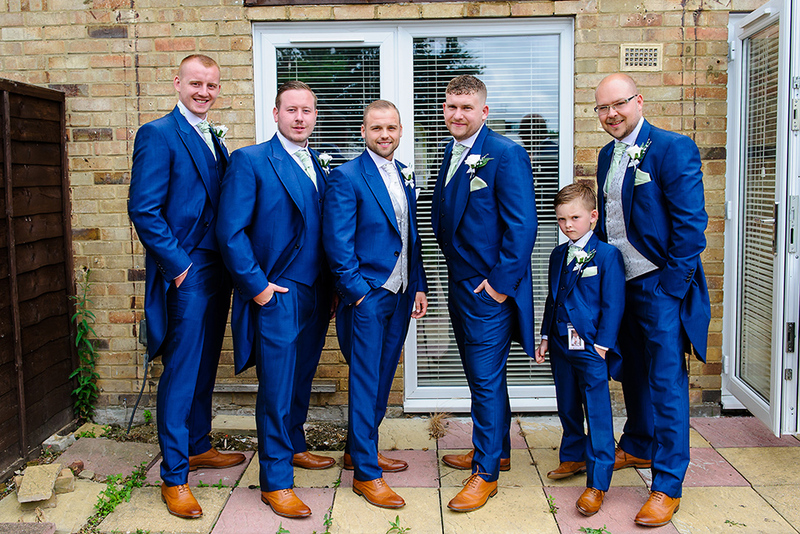 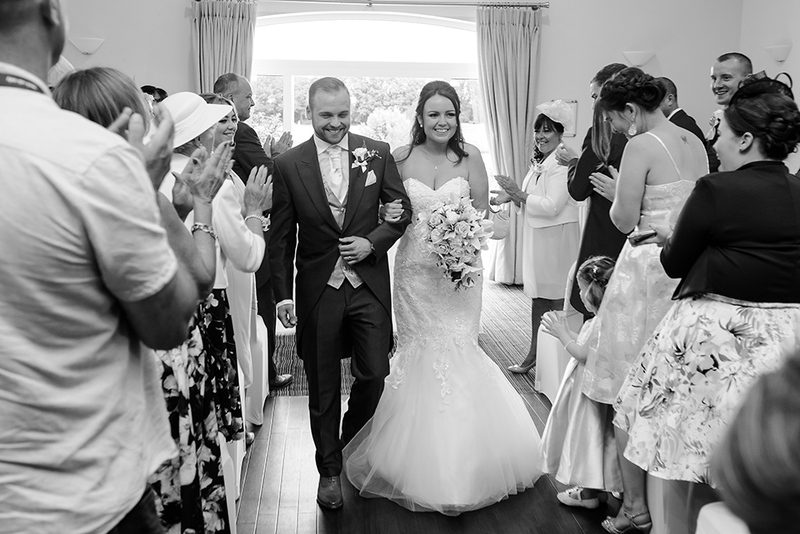 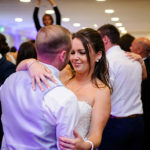 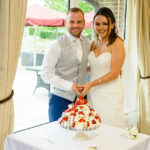 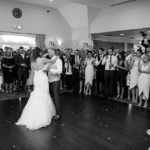 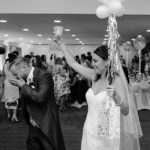 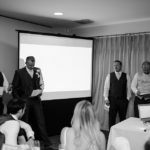 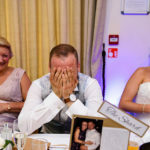 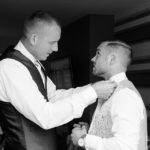 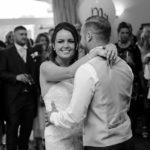 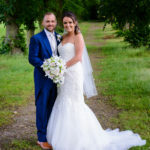 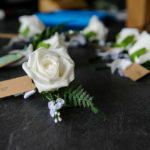 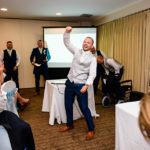 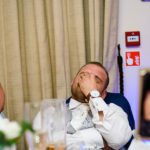 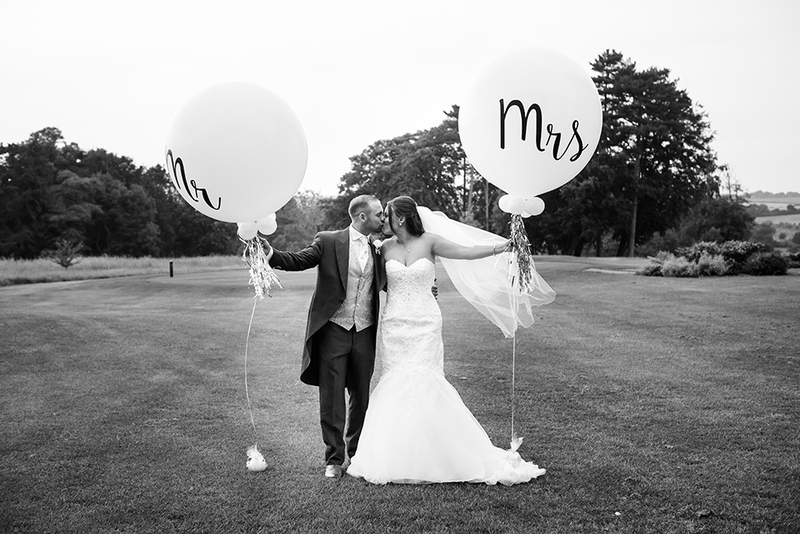 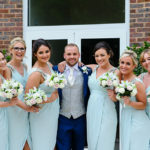 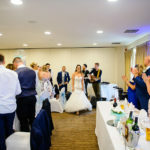 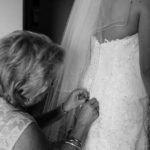 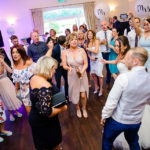 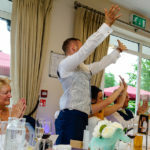 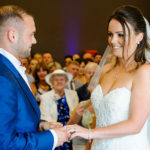 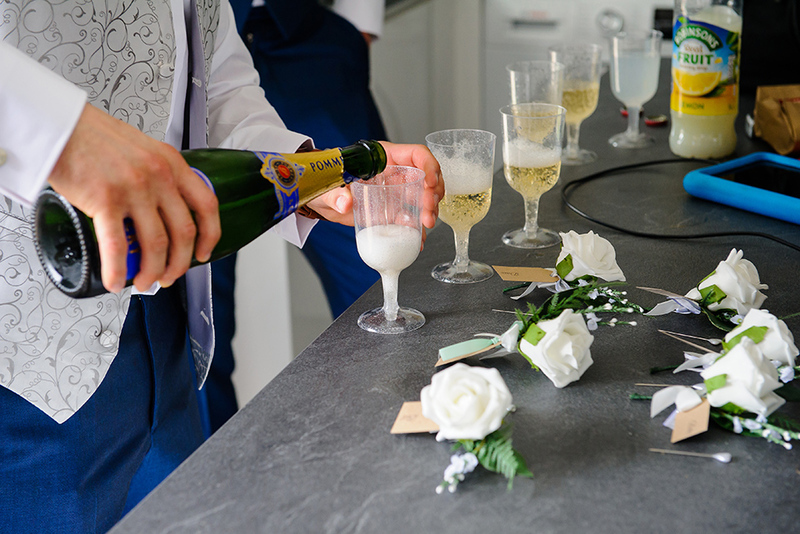 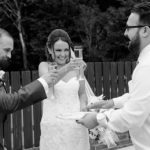 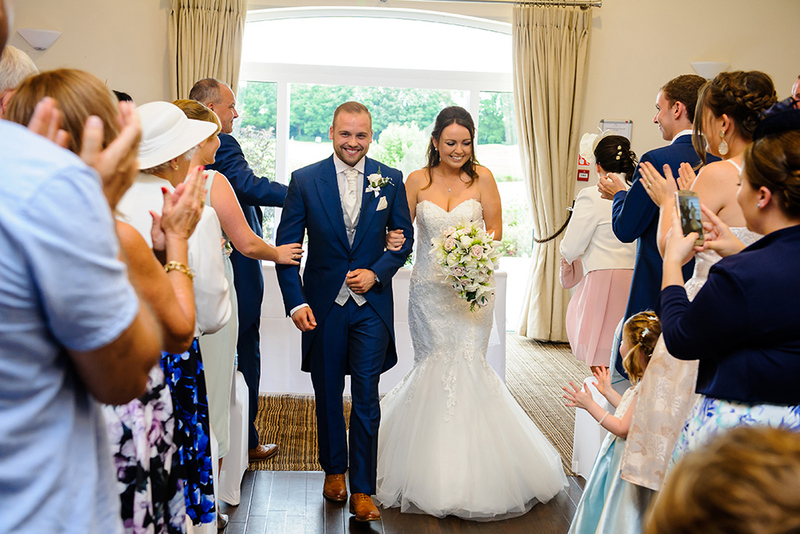 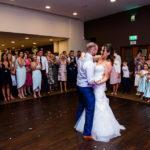 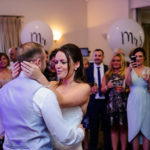 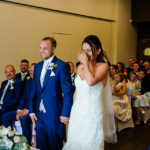 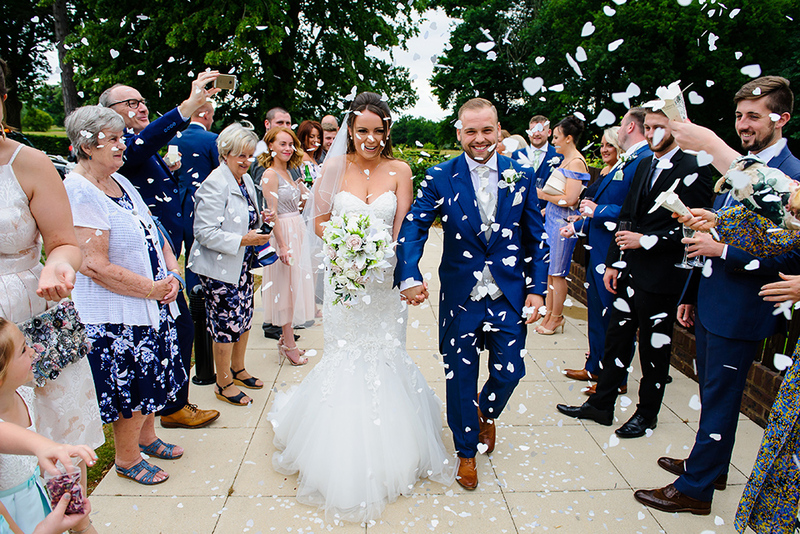 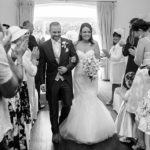 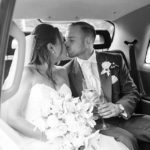 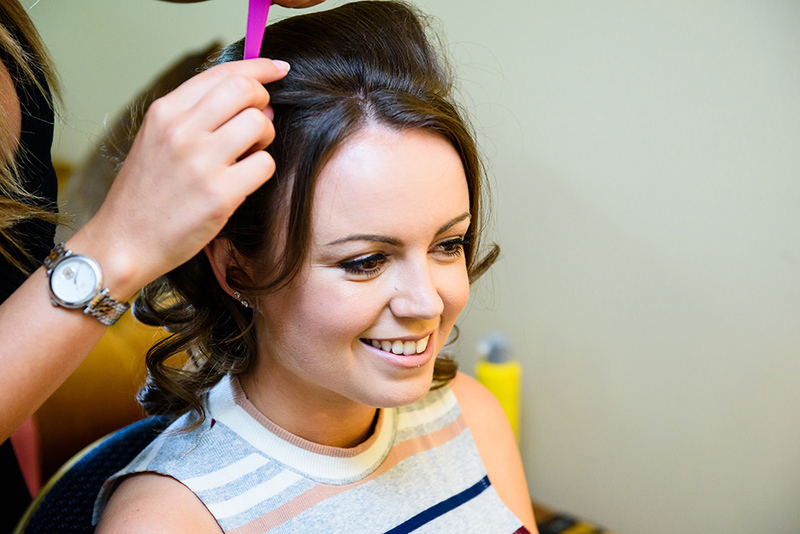 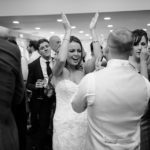 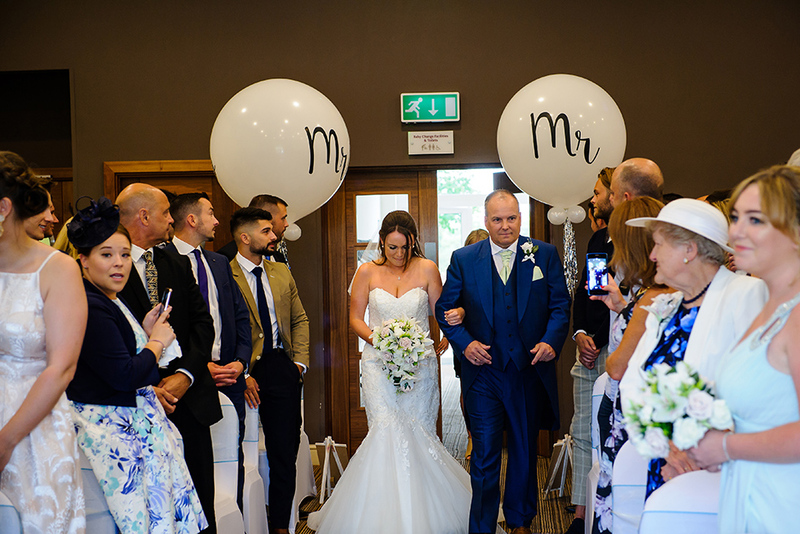 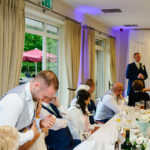 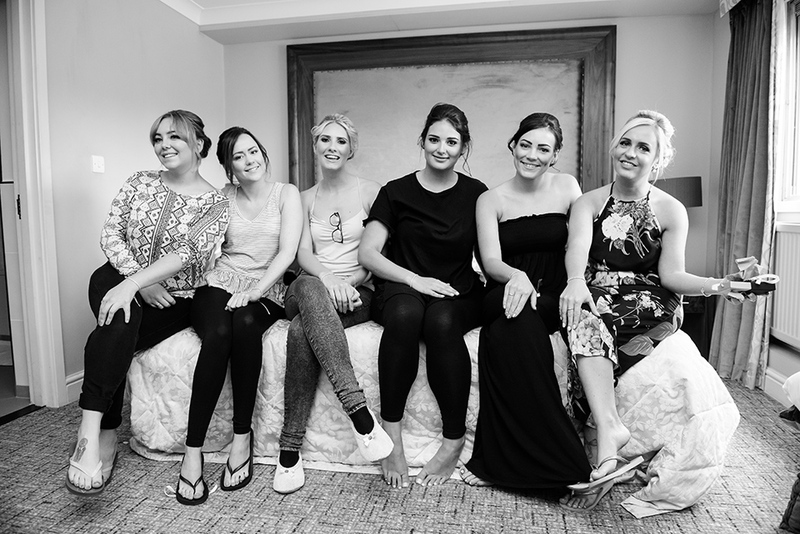 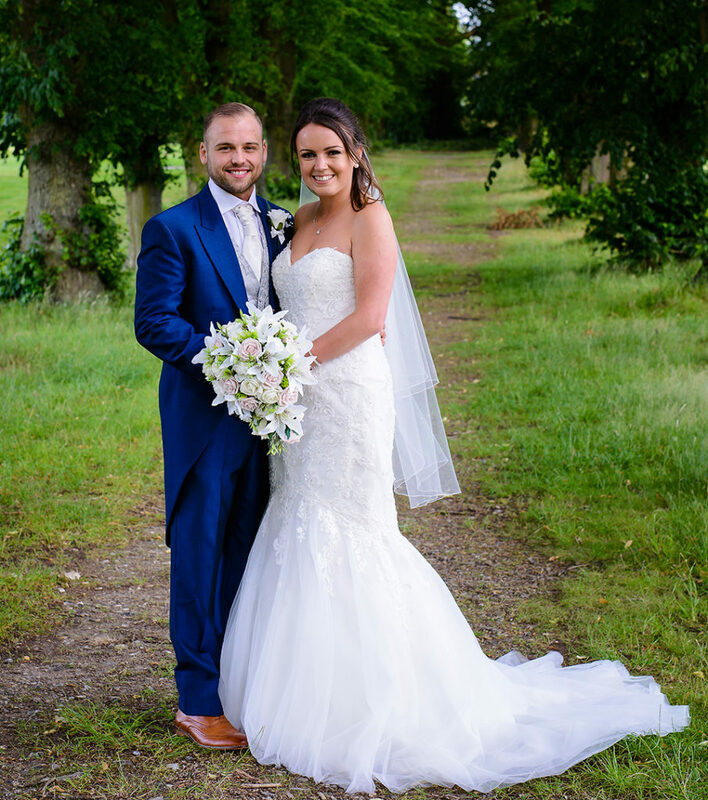 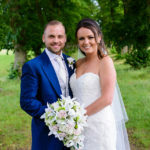 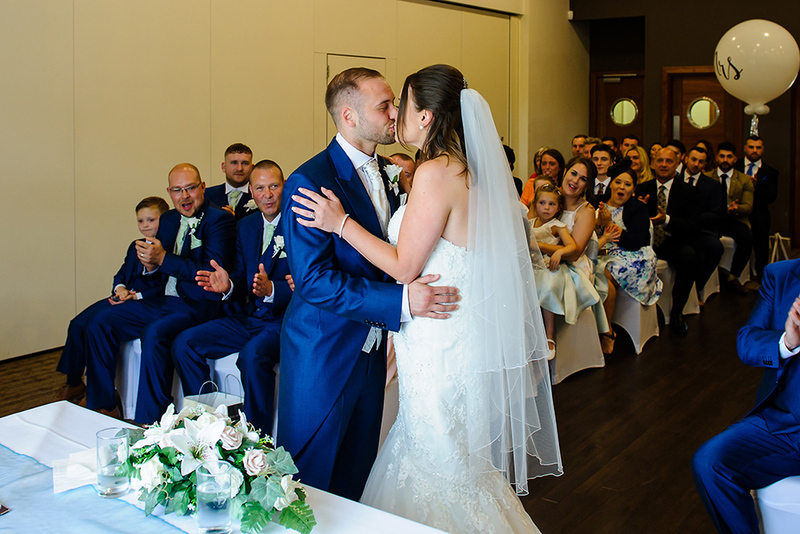 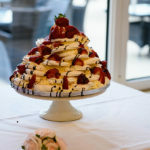 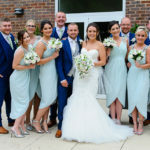 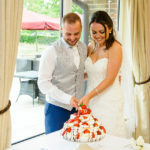 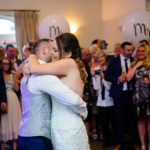 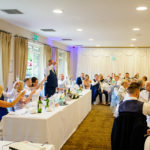 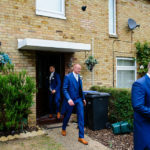 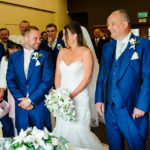 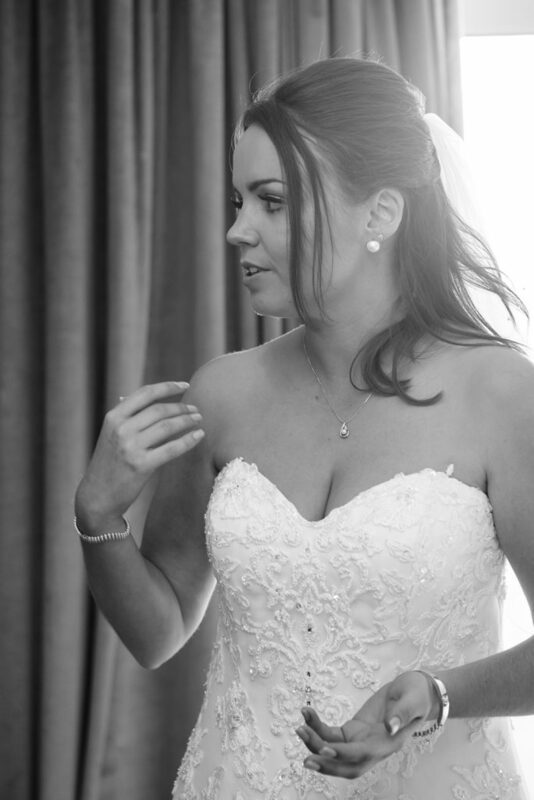 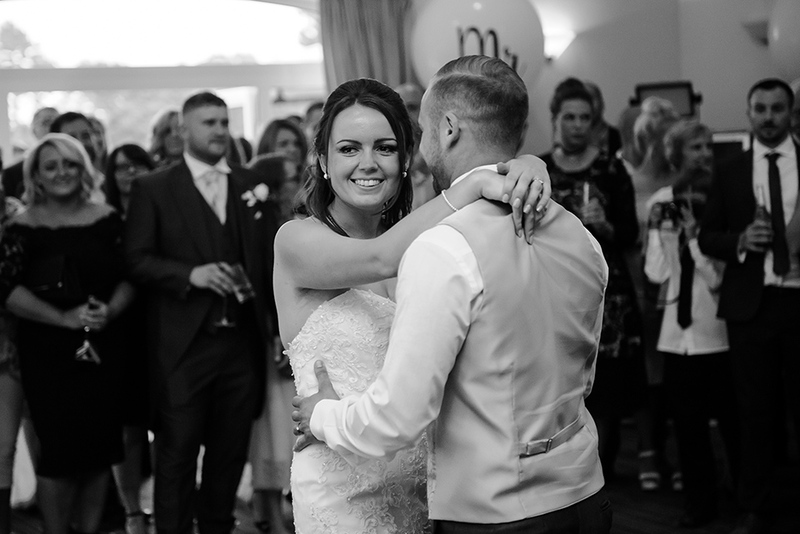 In the weeks before the wedding we met Sophie and Danny at Aldwickbury Park Golf Club so we can discuss the wedding photography details for their big day. 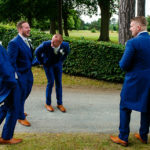 We visited the ground together and we discussed the timings, formal pictures shot list and locations and we also talked about the photo session on the day. 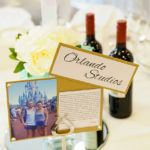 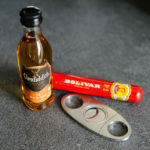 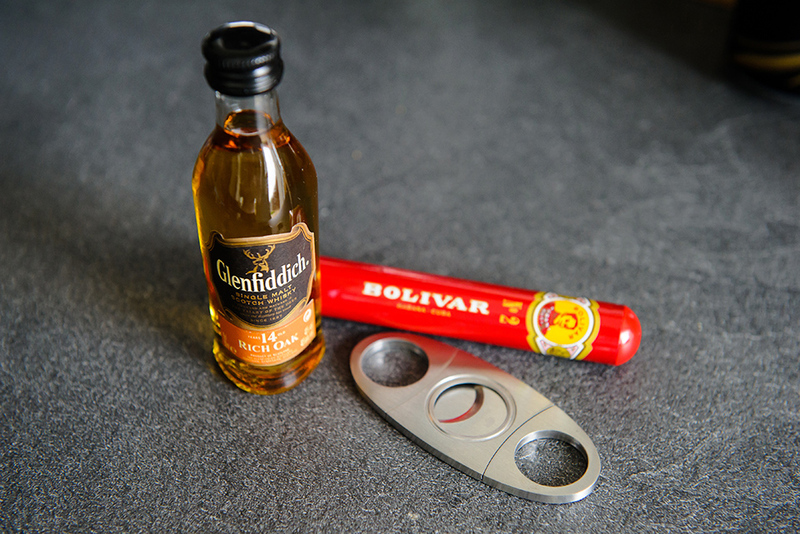 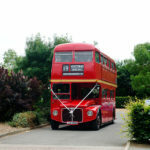 As we always do, we also had a “plan B” ready, just in case the weather will not be so nice on the day. 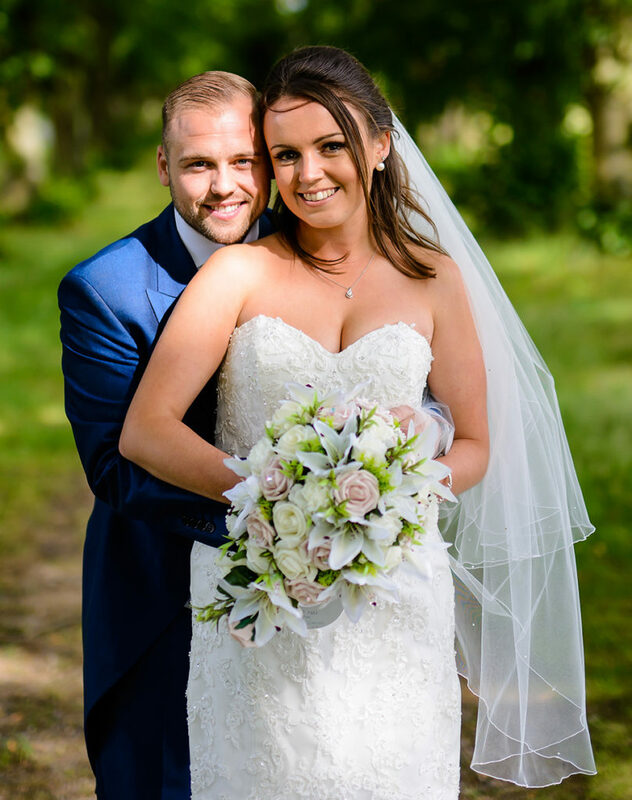 Luckily, it wasn’t the case as Sophie and Danny had a beautiful lovely summer day on their wedding day. 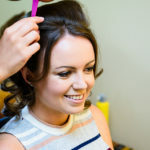 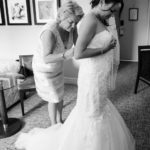 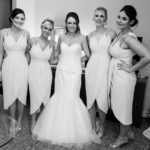 The day started with Nina covering Sophie getting ready with her bridesmaids while George covered Danny and his groomsmen getting ready. 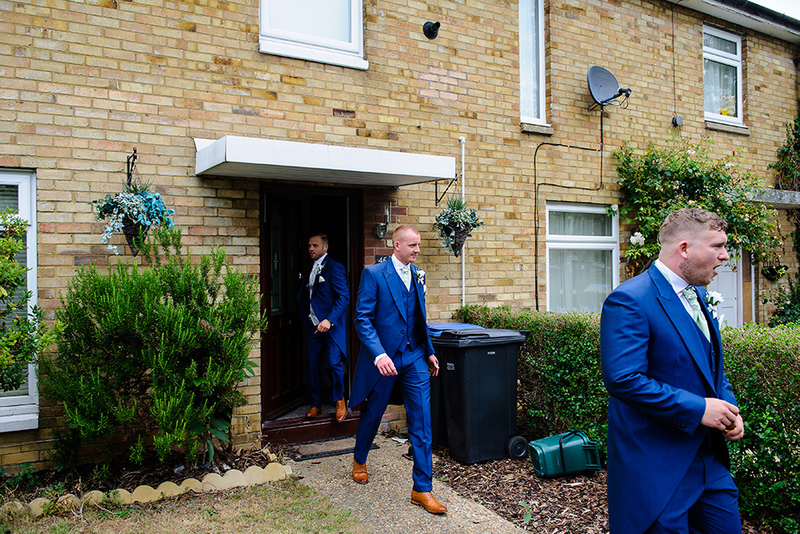 As it usually happens, the time flies by and soon it was time to leave for the venue. 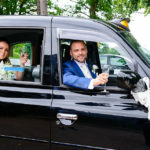 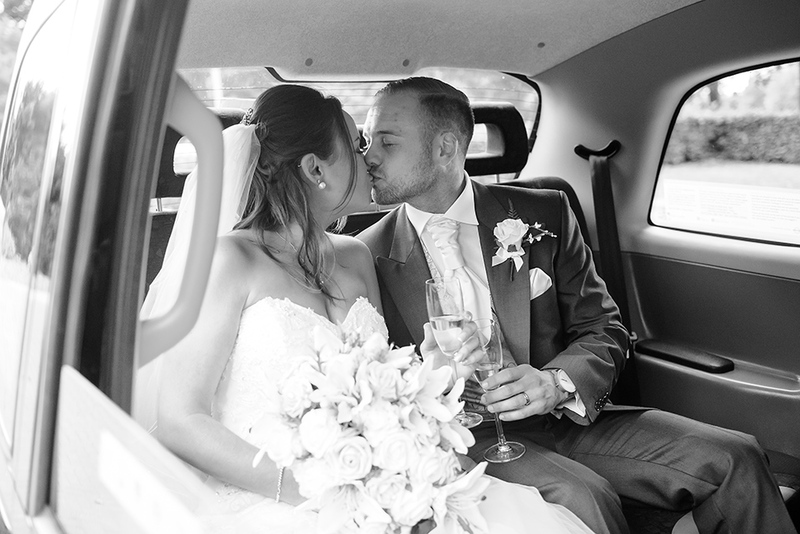 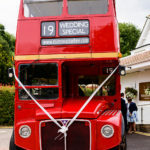 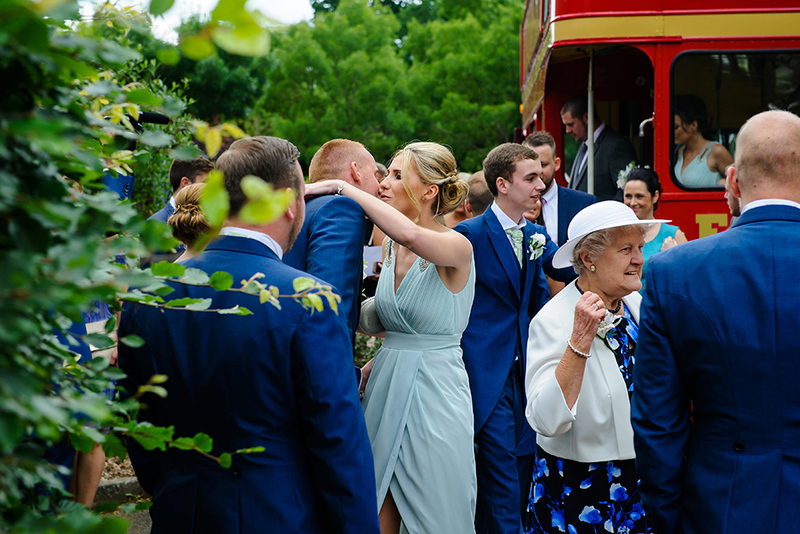 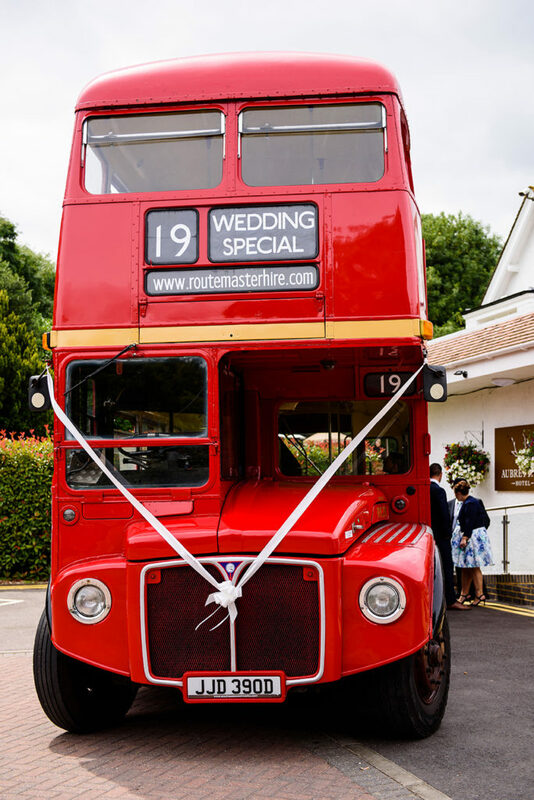 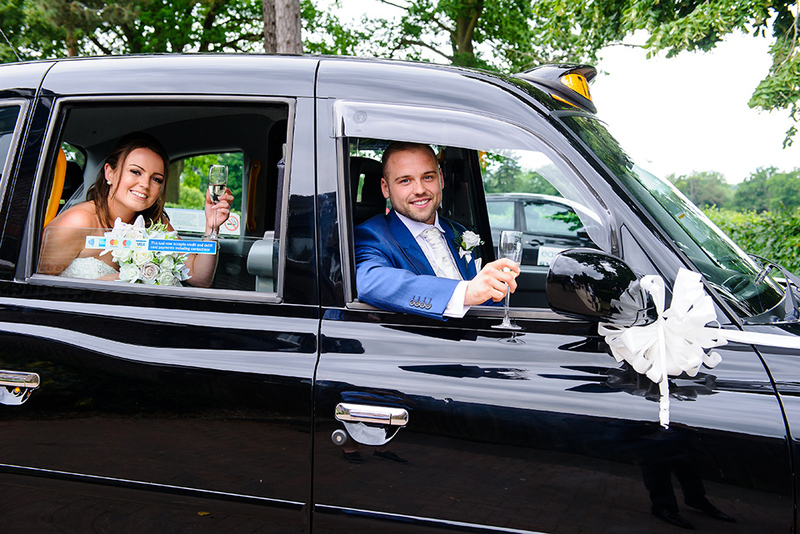 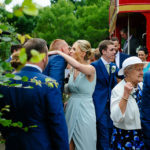 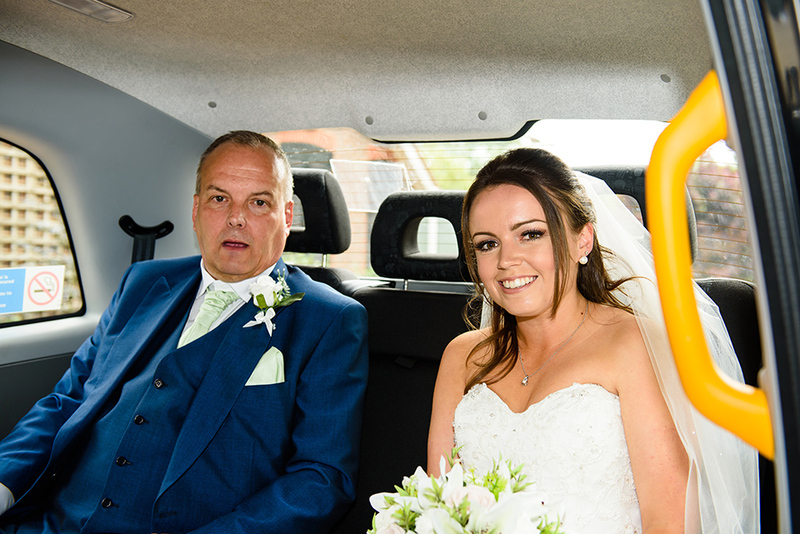 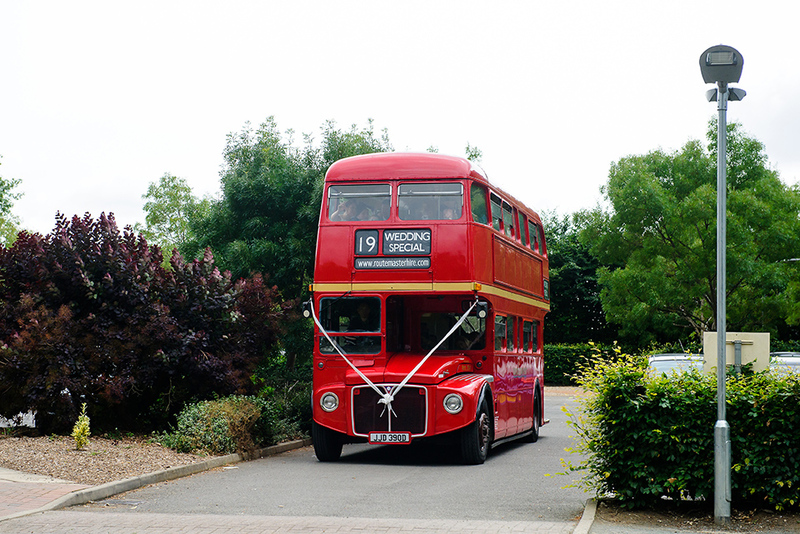 Nina had the opportunity to join the wedding guests in the lovely route master and she took the opportunity to capture some great shots. 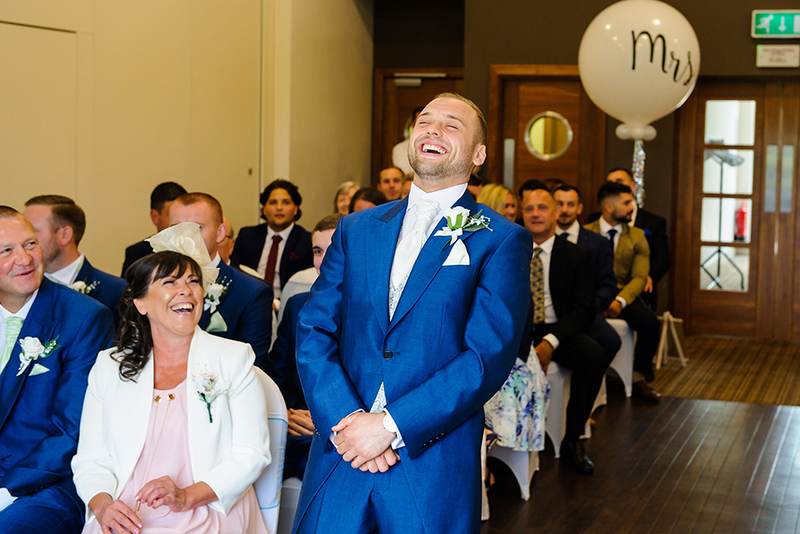 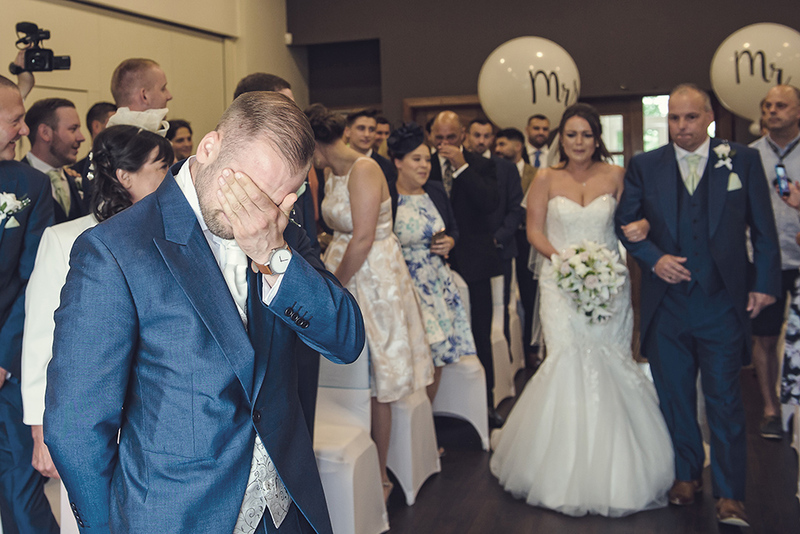 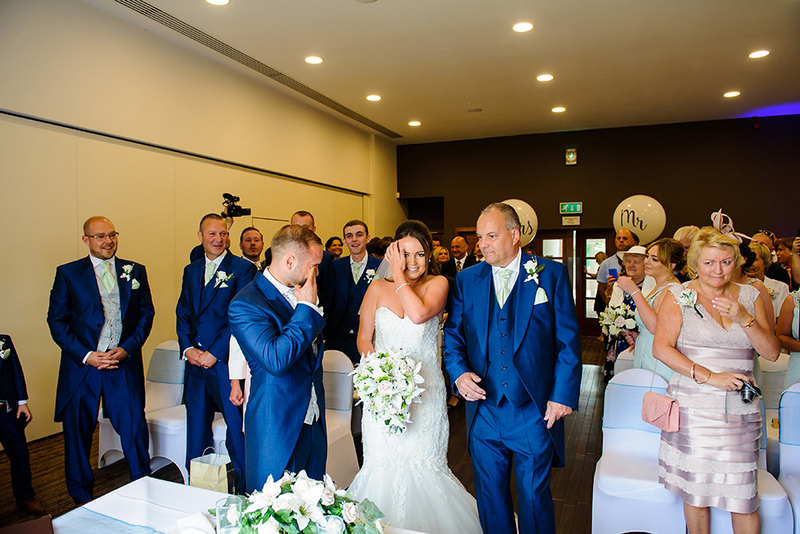 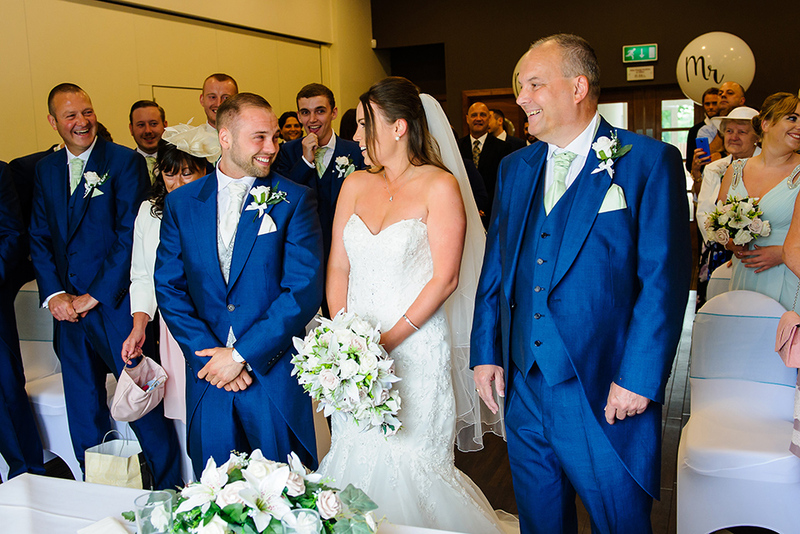 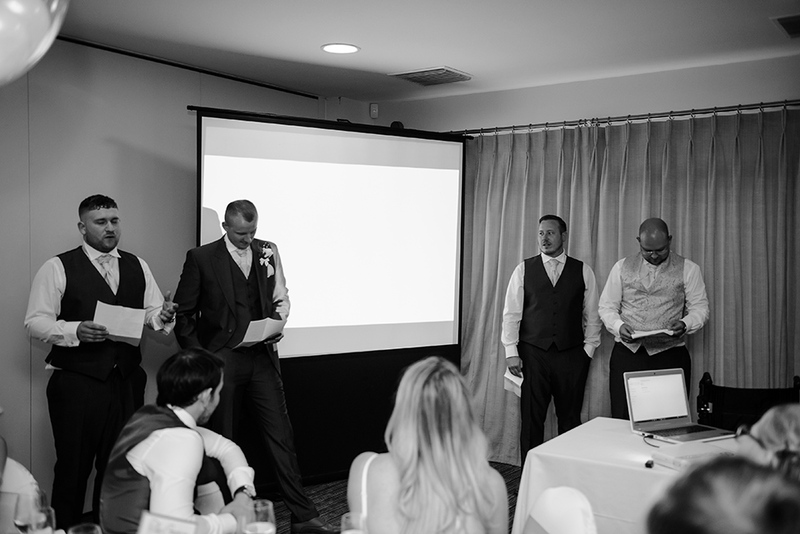 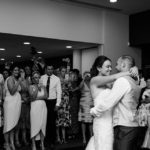 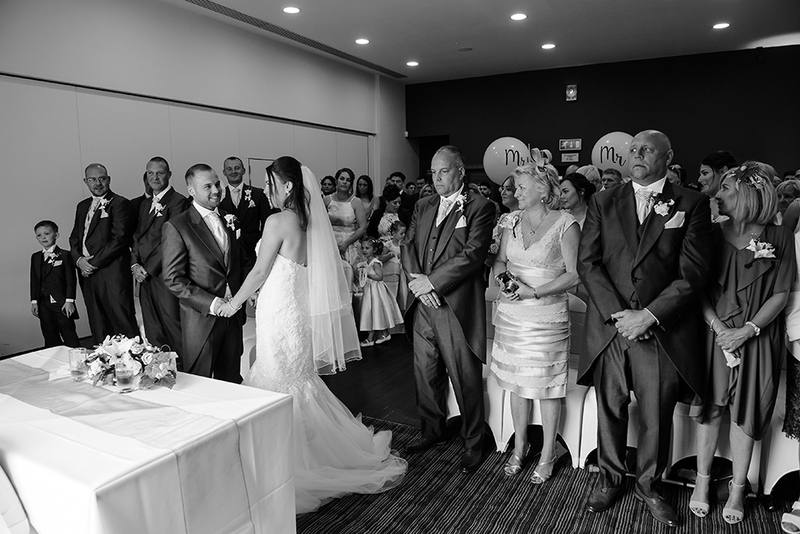 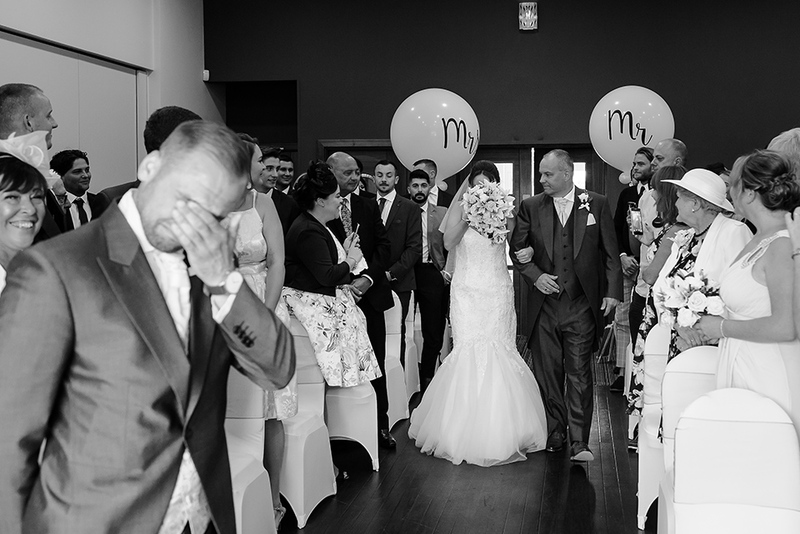 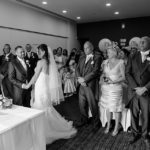 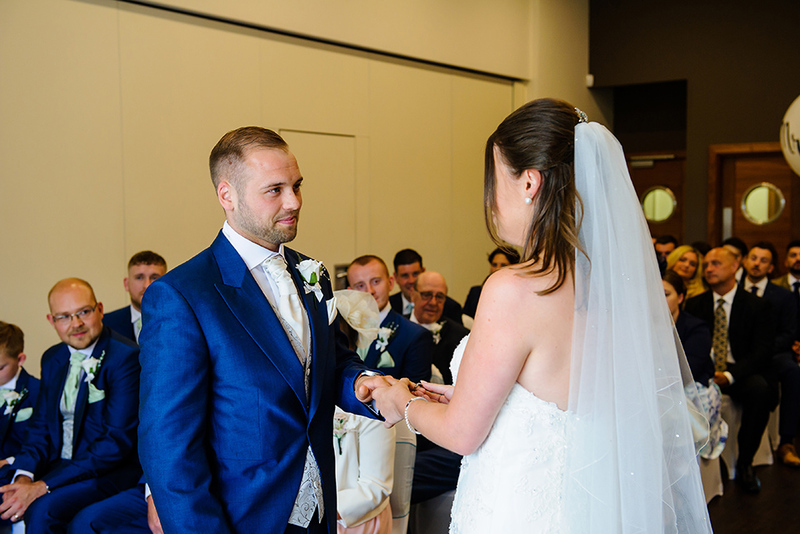 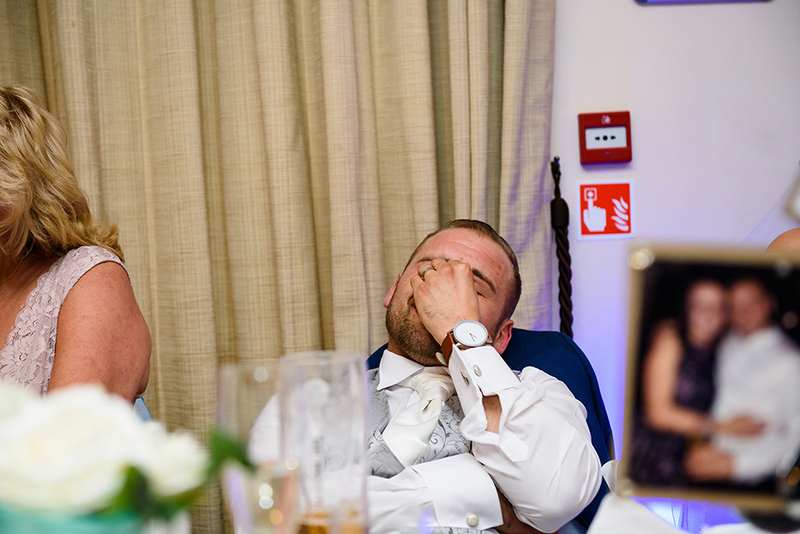 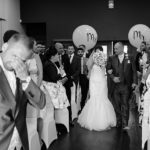 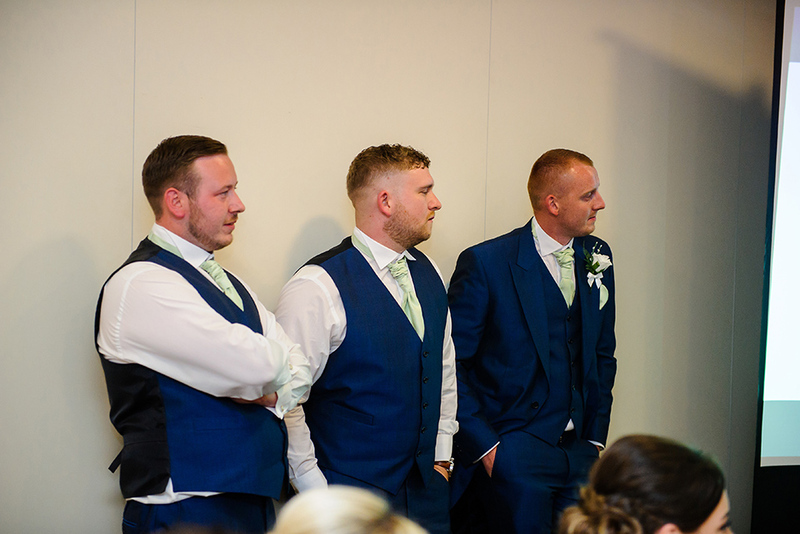 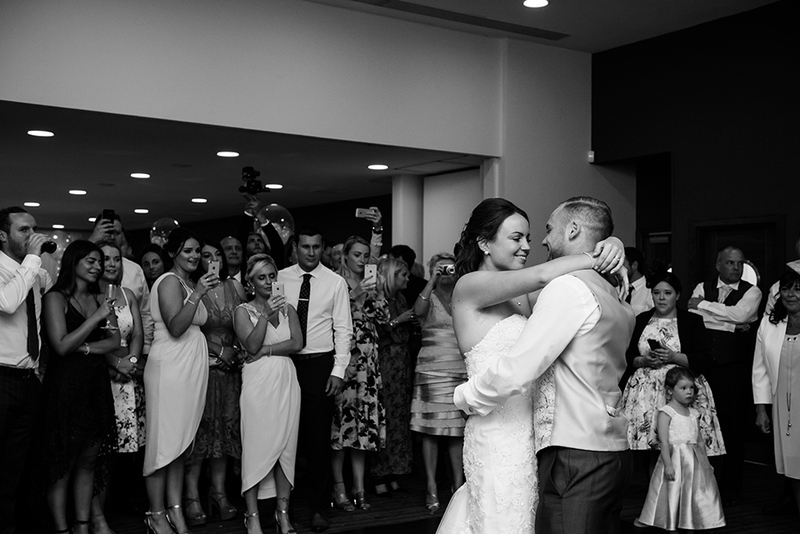 As the ceremony was fast approaching, it was very clear that the emotions were running very high, both for our bride and groom. 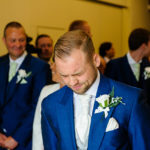 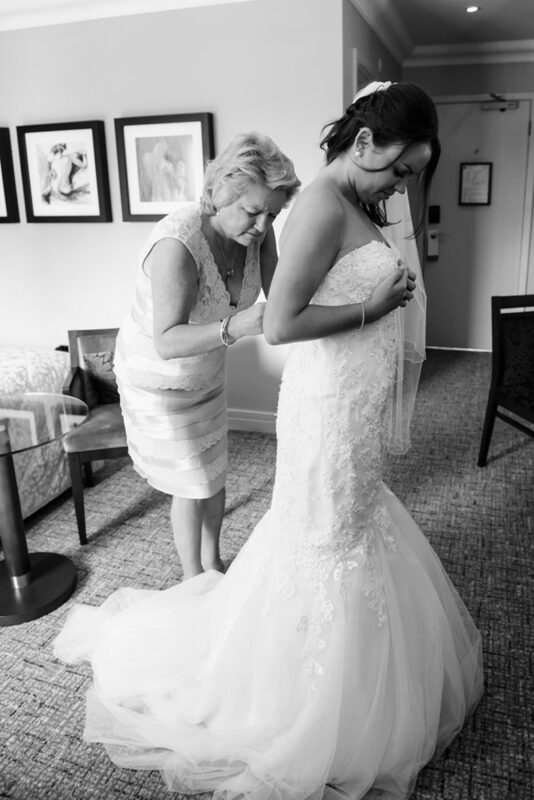 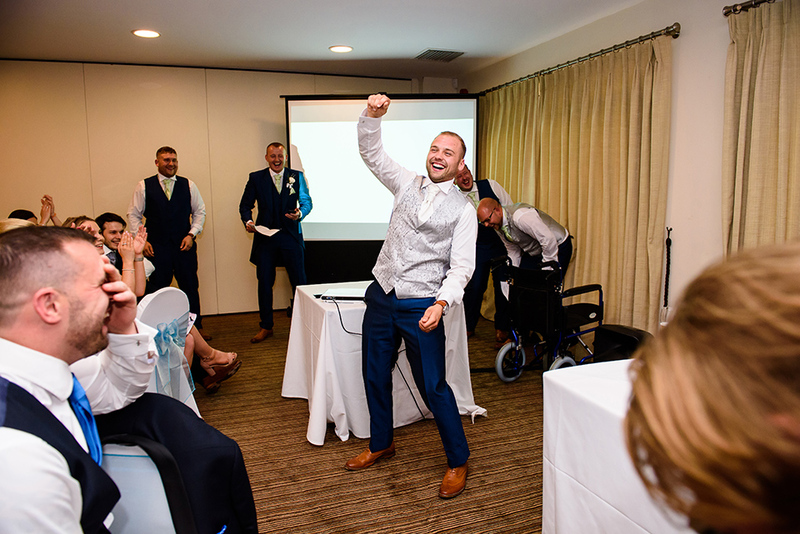 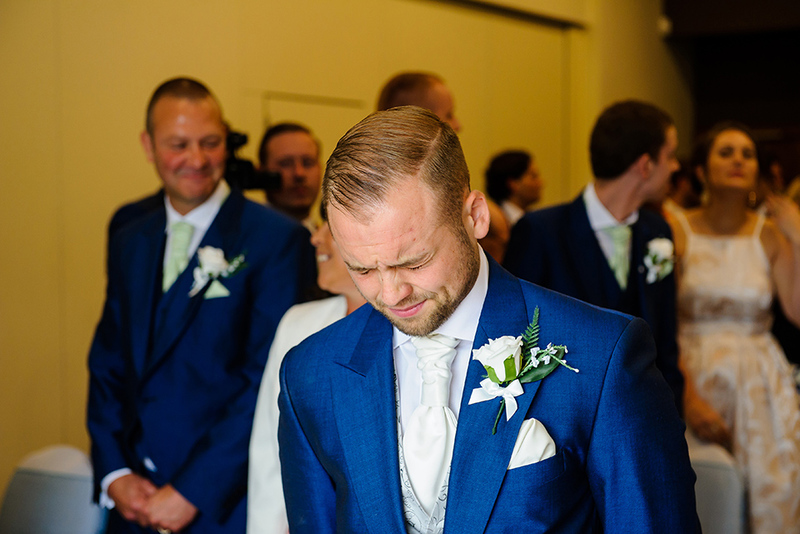 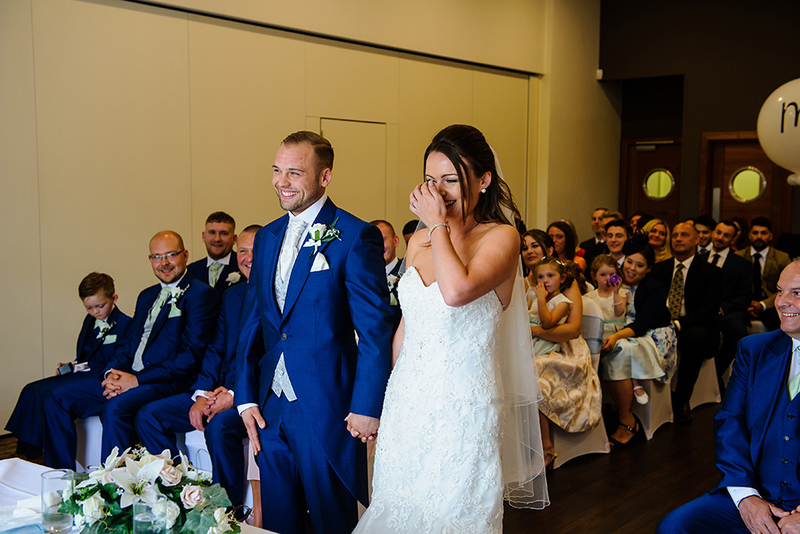 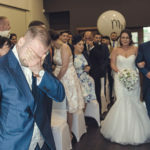 We have some great shots when Sophie was walking down the aisle, showing pure emotion; this is the type of pictures that will stay with our bride and groom forever. 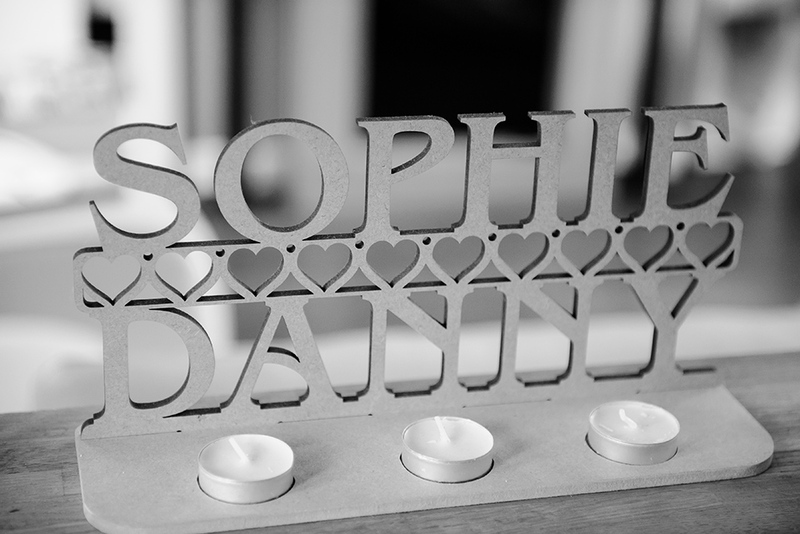 The whole wedding ceremony was beautiful and emotional and soon Sophie and Danny were pronounced husband and wife. 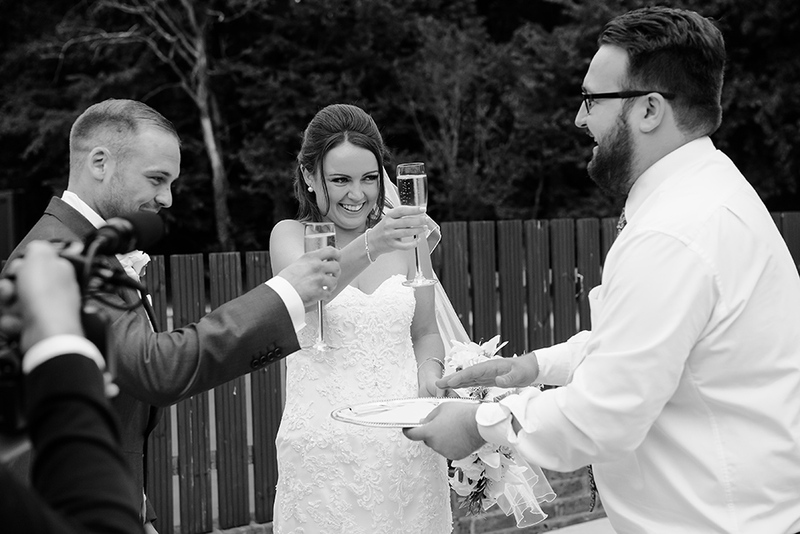 After the confetti shot we organised few formal shots. 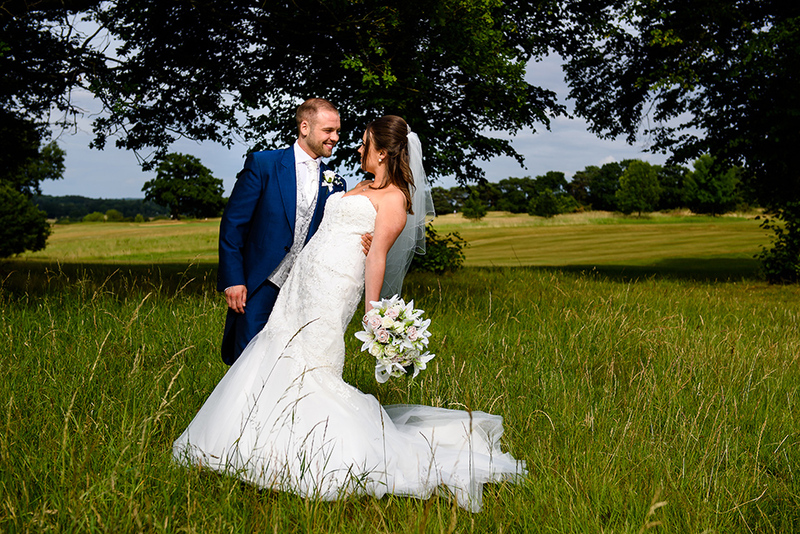 The day was amazing, very warm and with just few clouds in the sky so we had to take advantage and organise a quick photo session with our bride and groom. 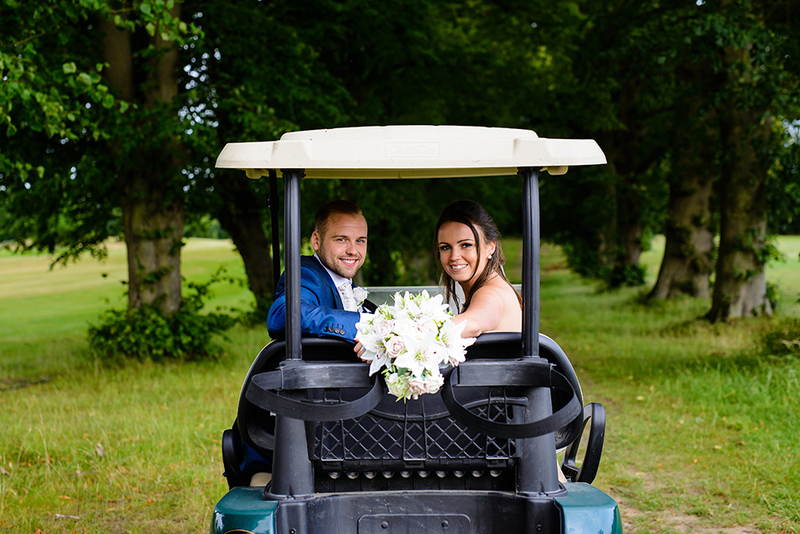 The staff at Aldwickbury Park Golf Club was very helpful and the organised two golf buggies for us to use on the day – thank you so much guys! 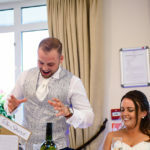 Sophie and Danny beautiful day continued with the wedding breakfast and later on with some of the best wedding speachhes we’ve seen this year: great, great fun! 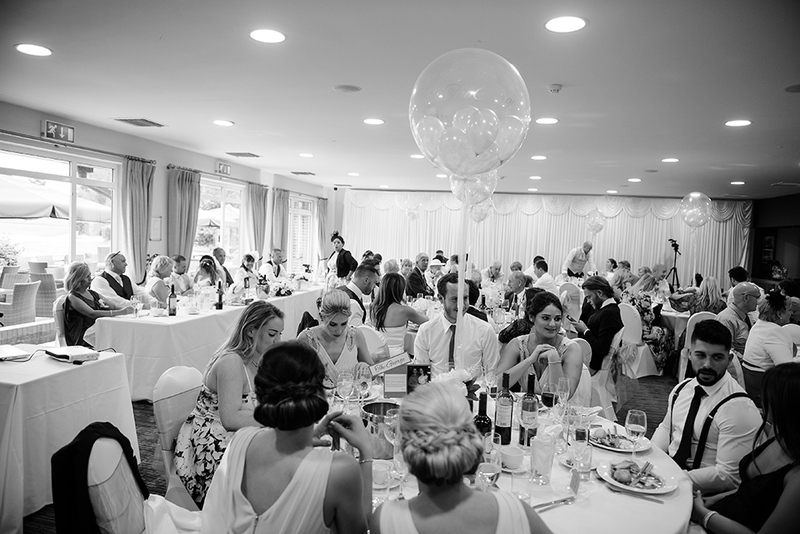 Once the cake was cut, the room had to be re-arranged for the evening part of the day. 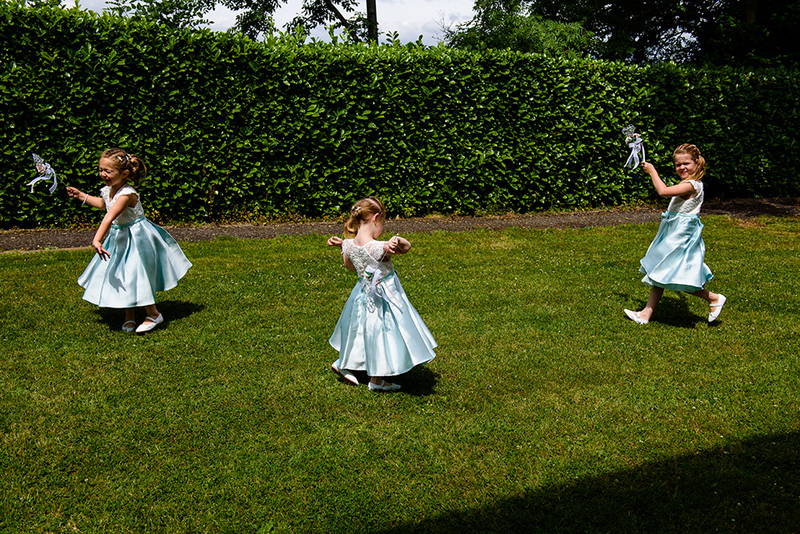 The guests once again enjoyed the beautiful grounds and we snapped some great documentary shots of people having fun, enjoying a beautiful day. 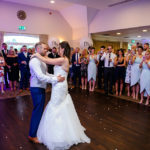 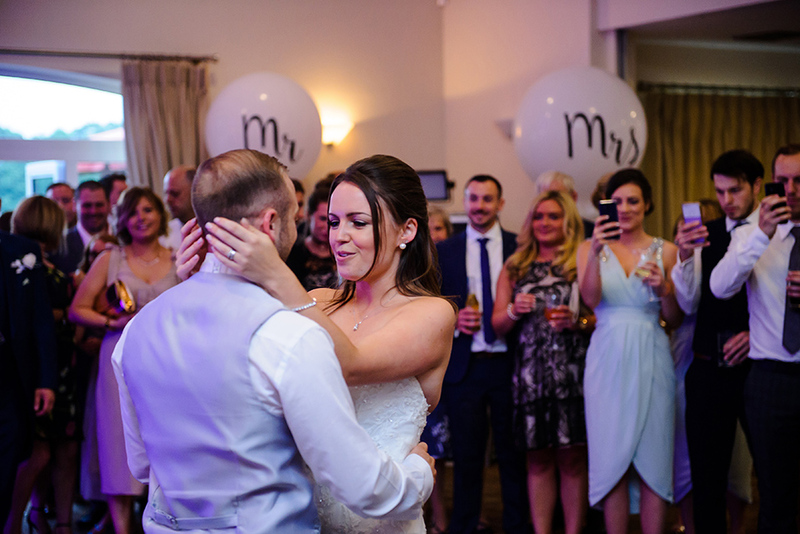 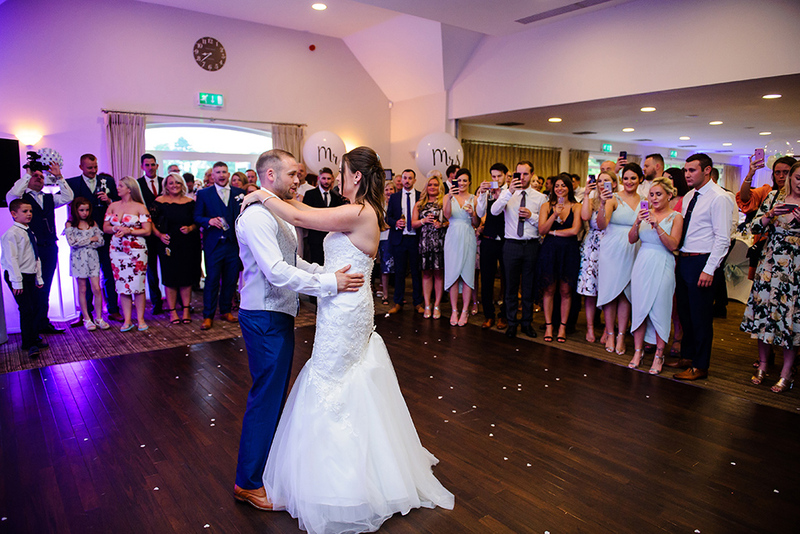 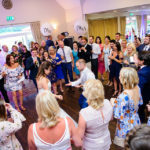 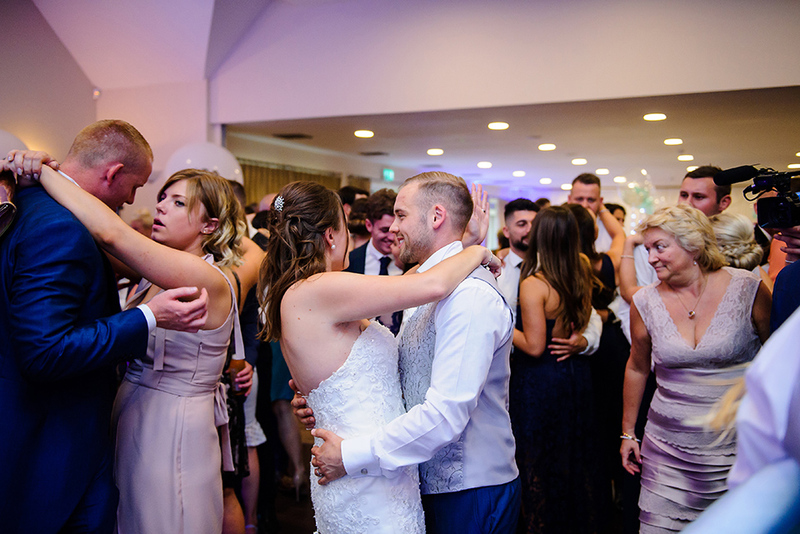 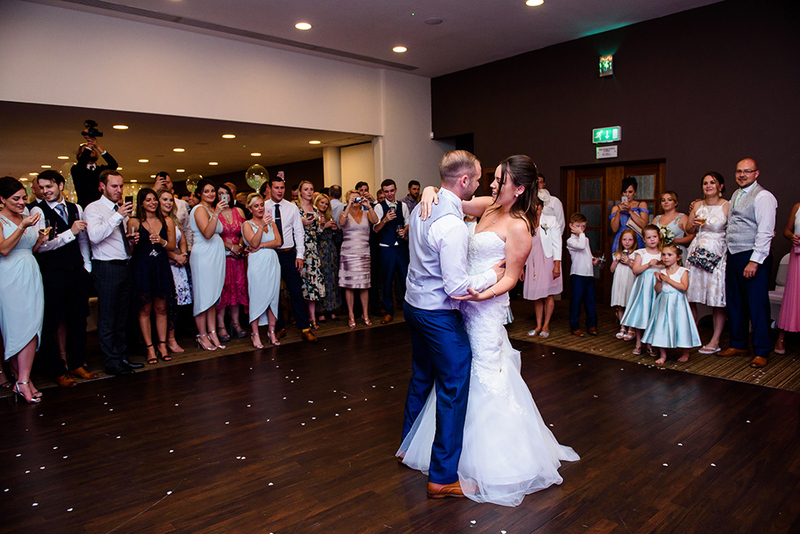 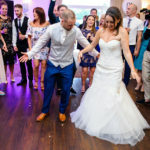 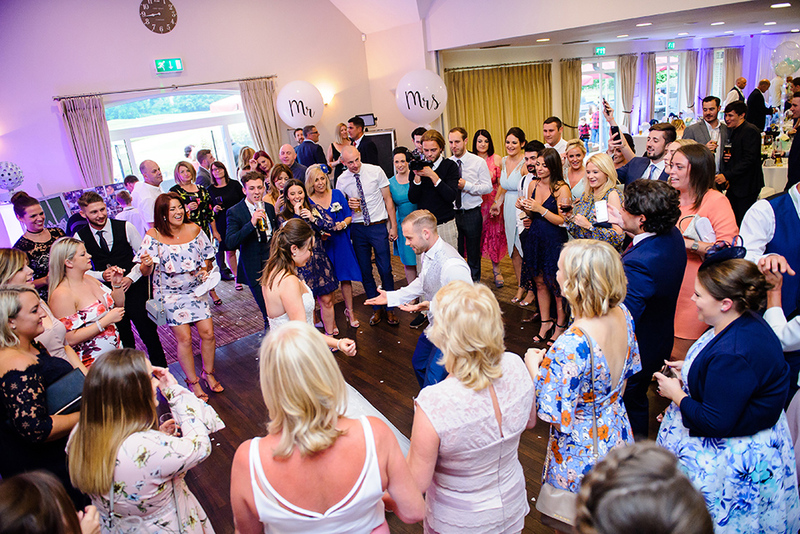 The first dance was next and a great party followed, with many friends and family joining Sophie and Danny on the dance floor. 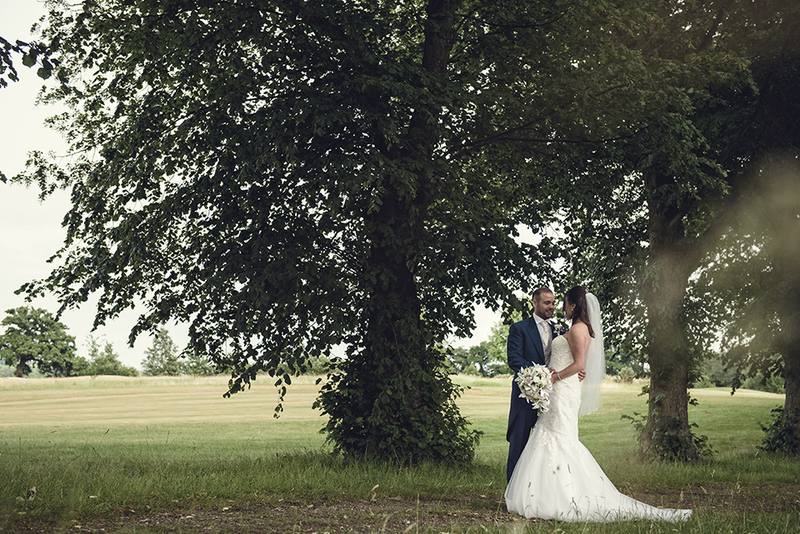 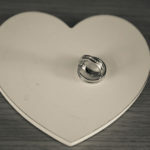 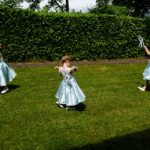 It was a great day for us and we would like to thank Sophie and Dany for making us part of their beautiful day. 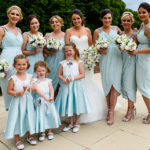 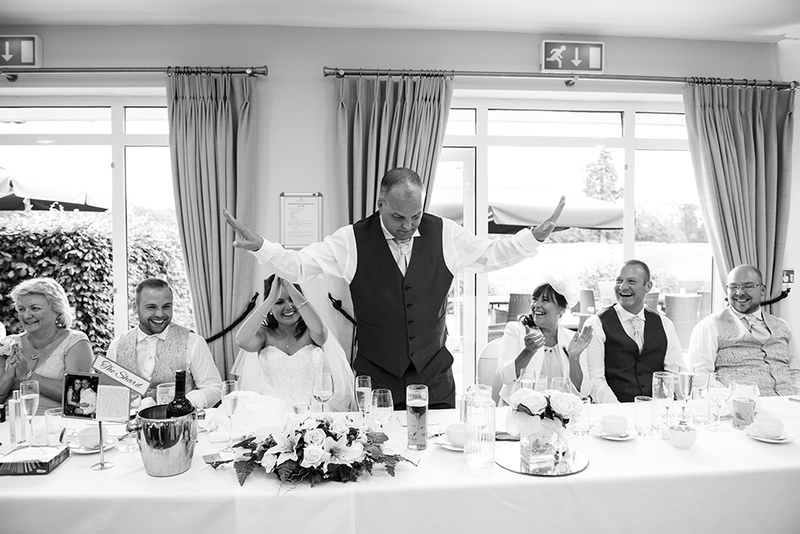 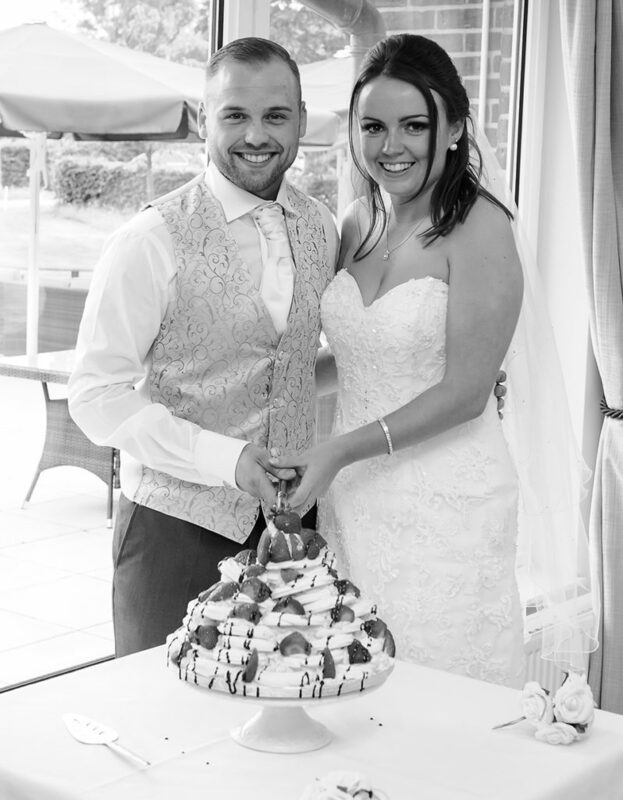 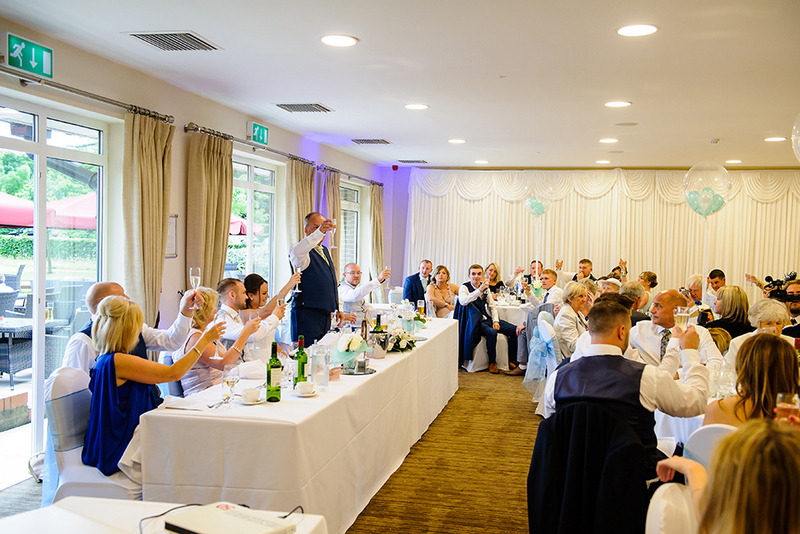 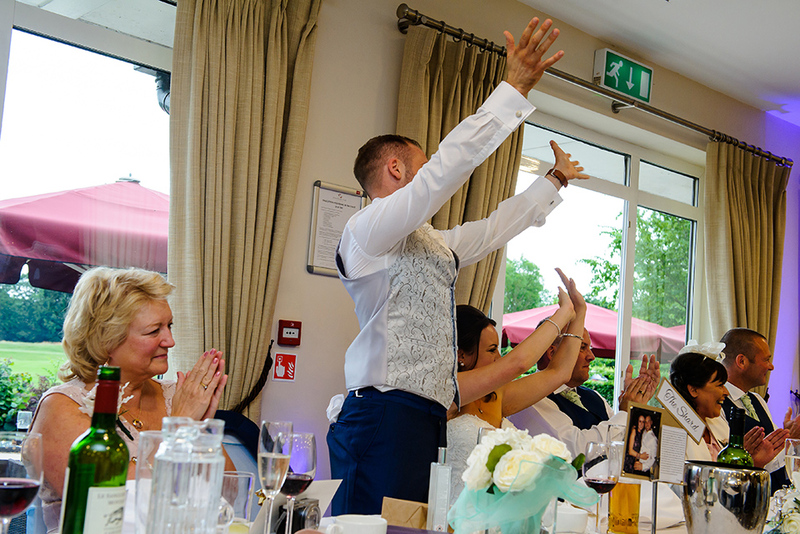 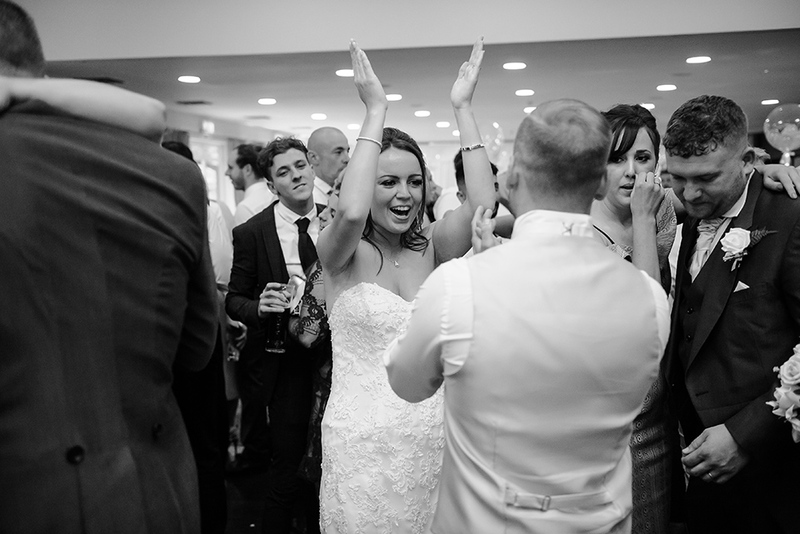 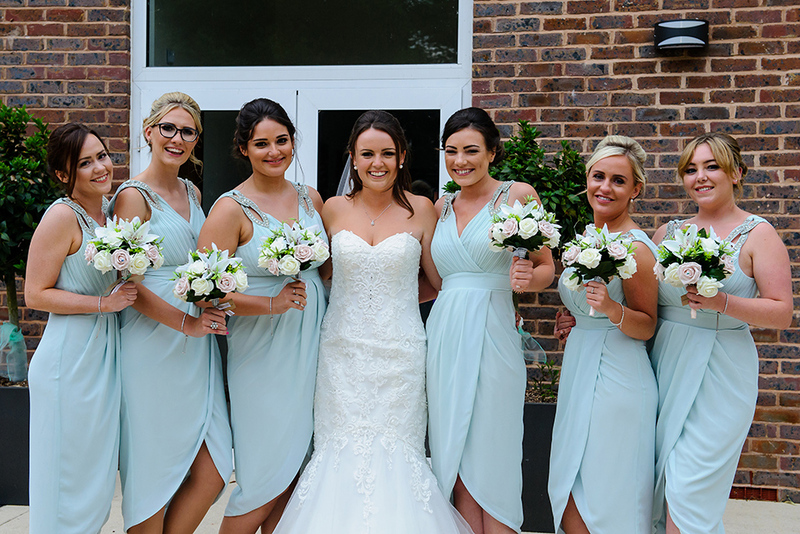 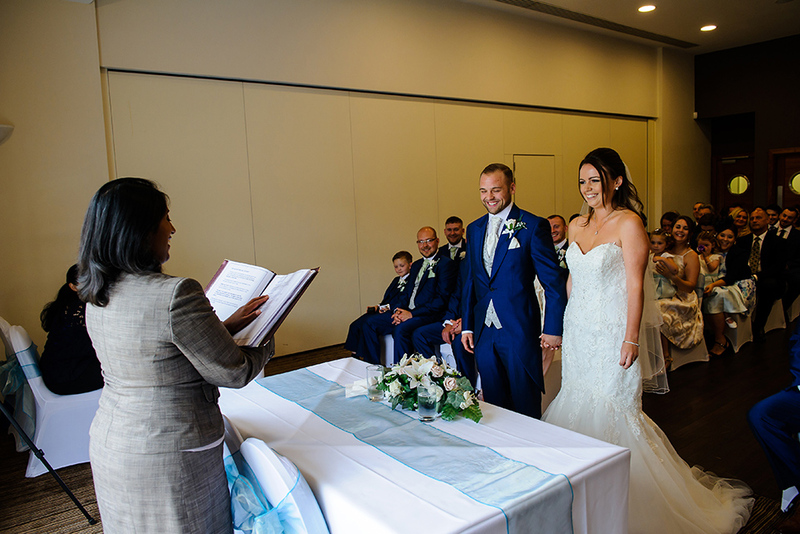 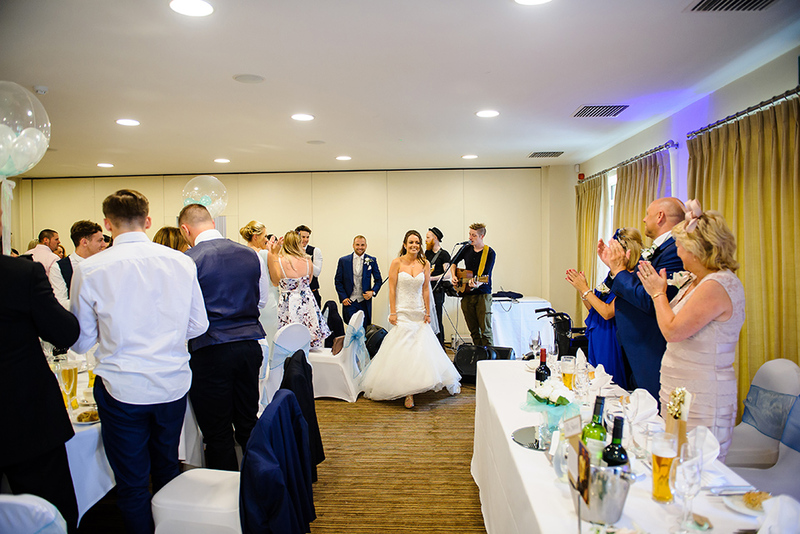 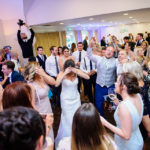 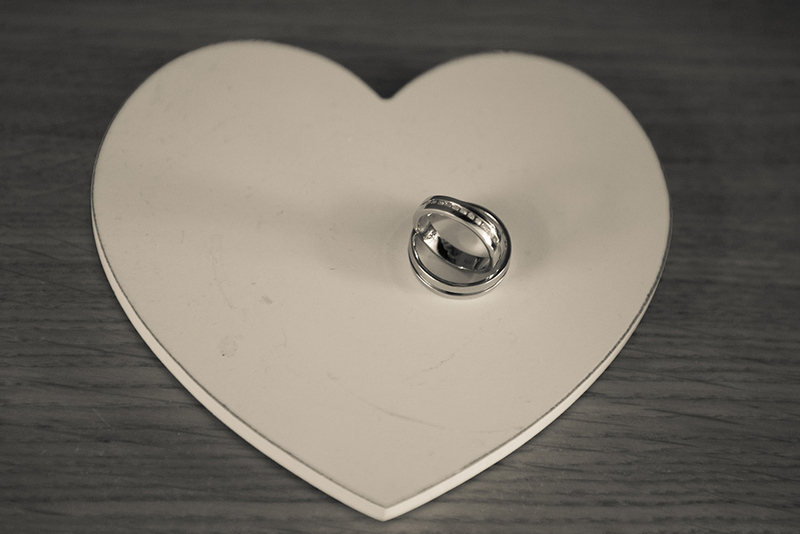 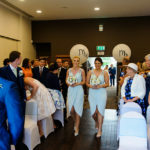 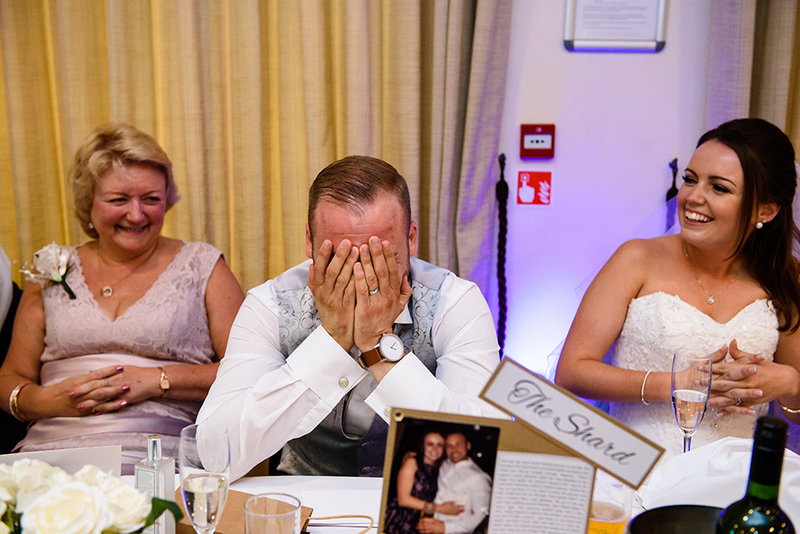 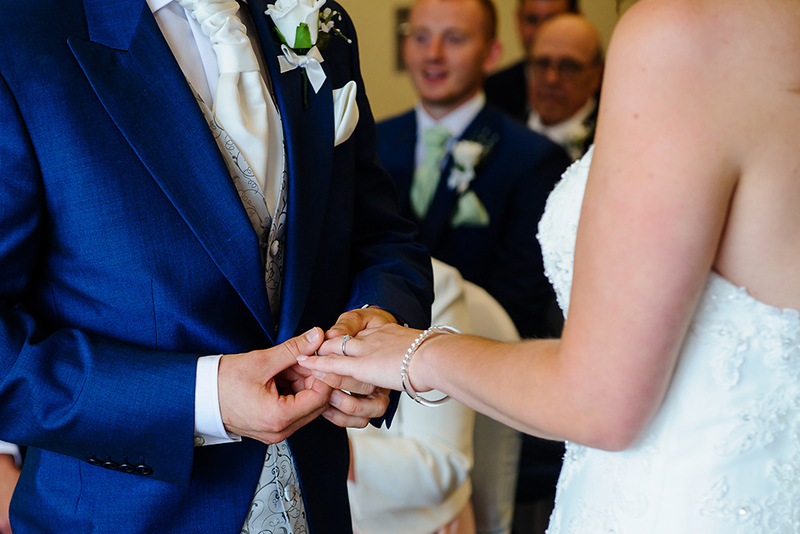 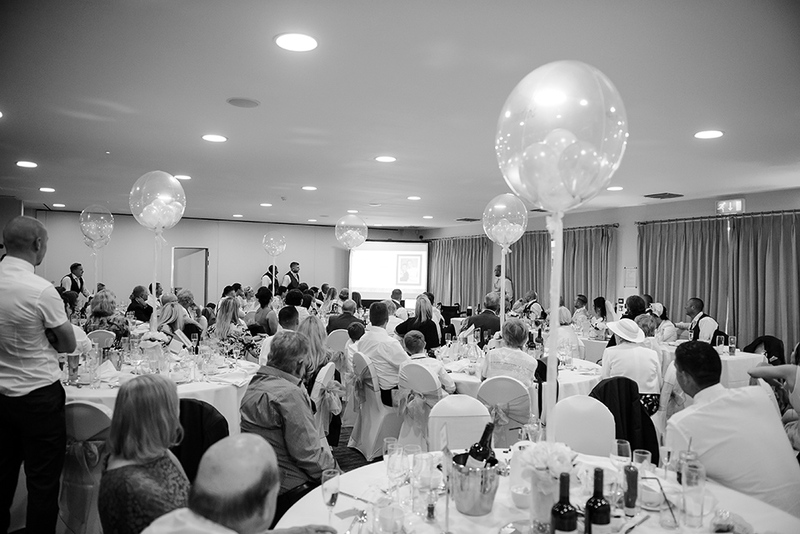 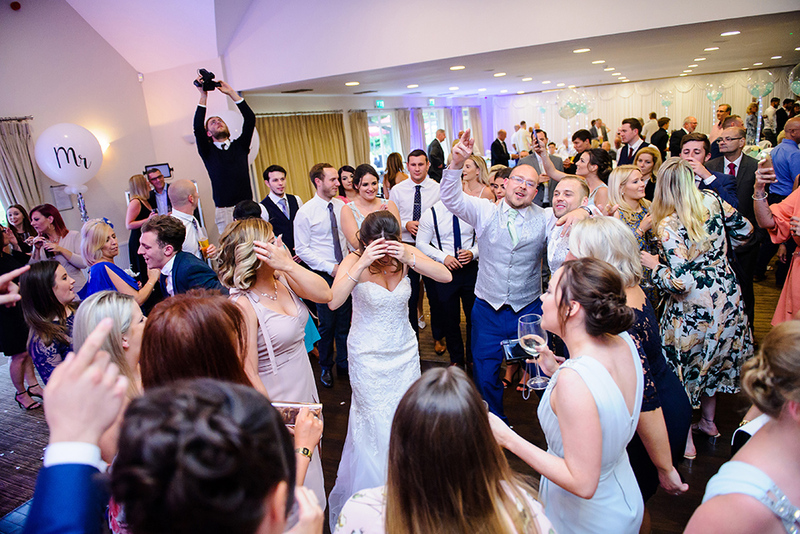 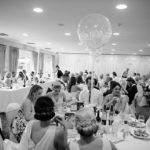 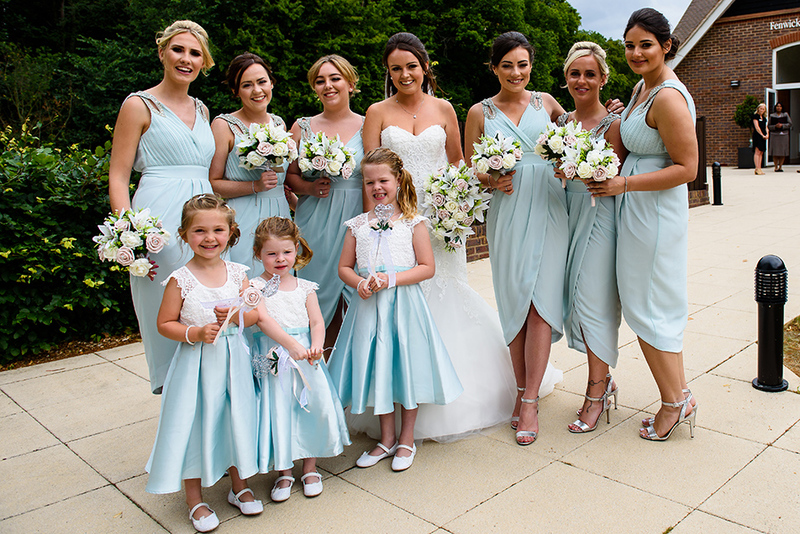 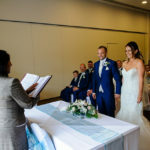 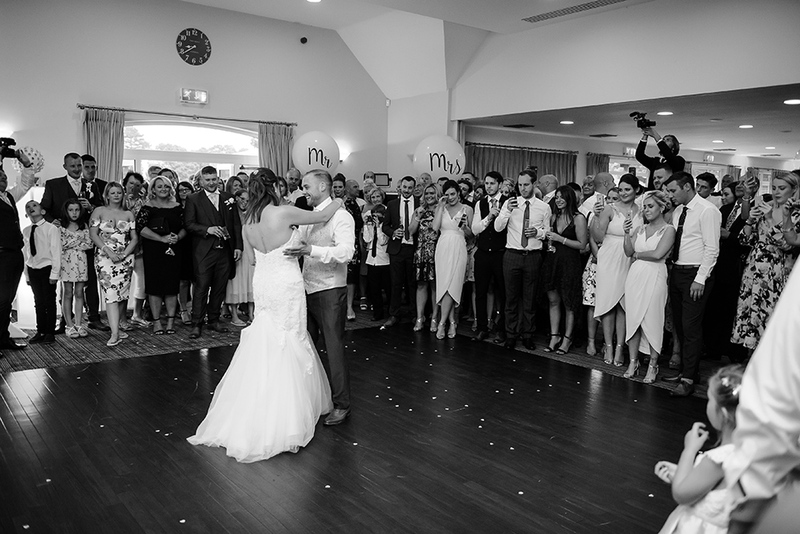 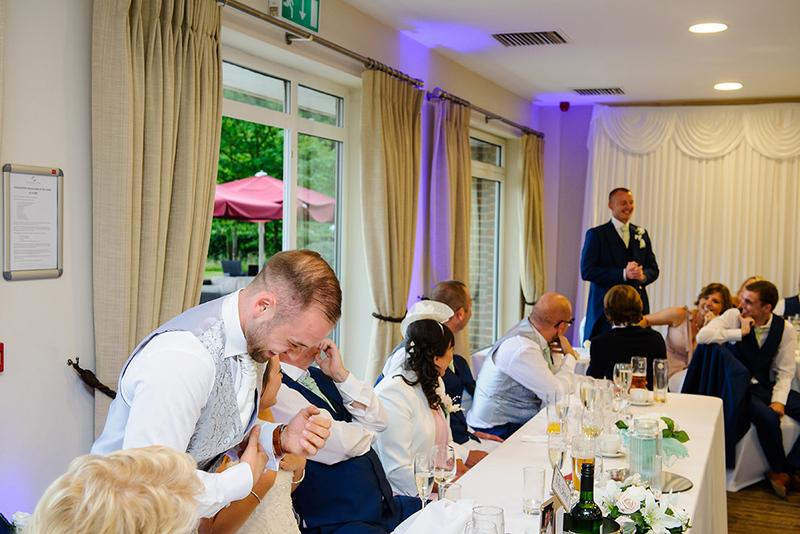 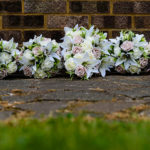 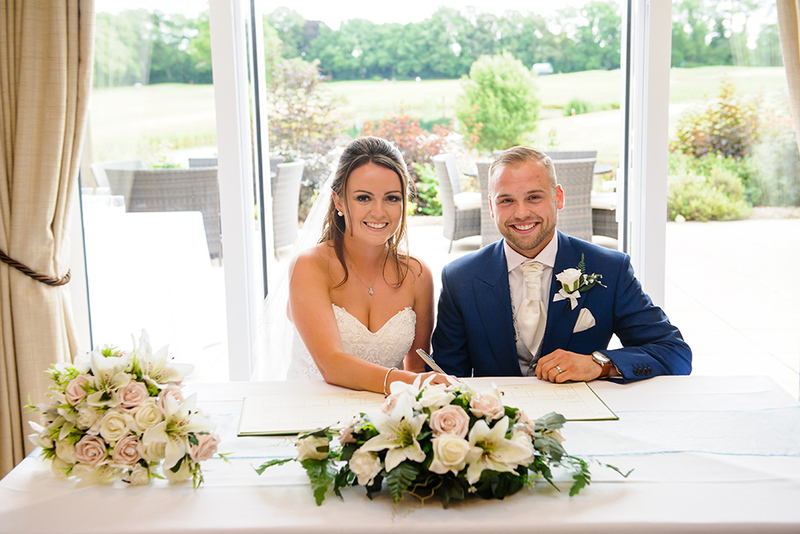 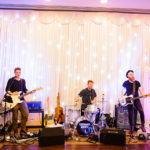 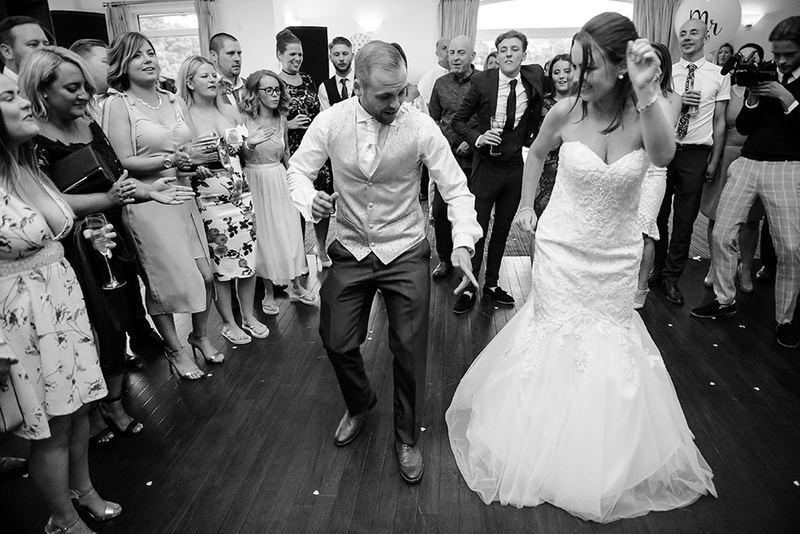 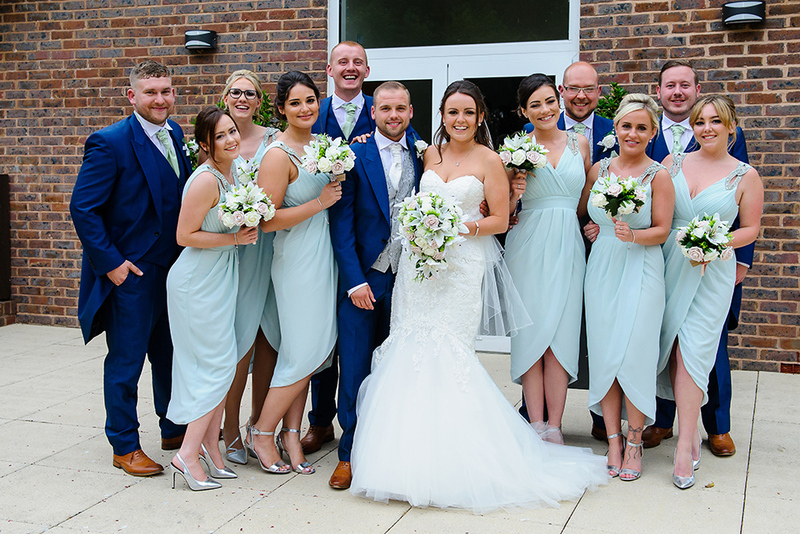 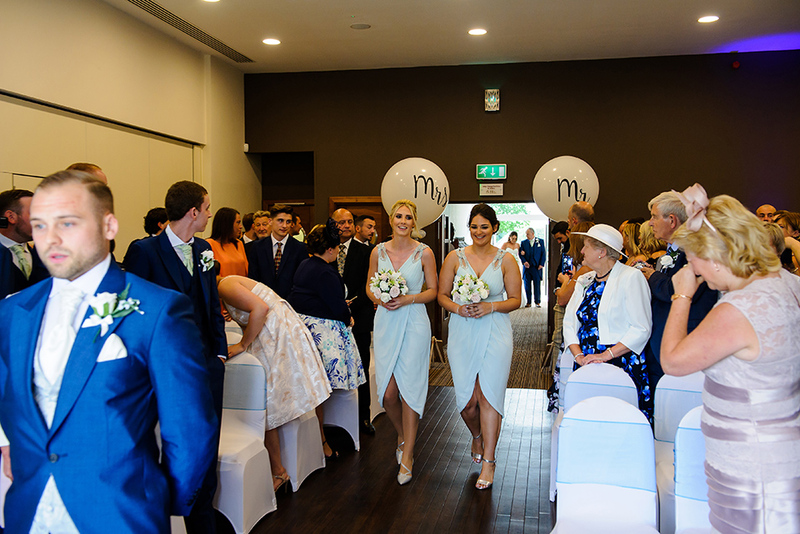 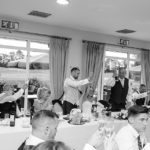 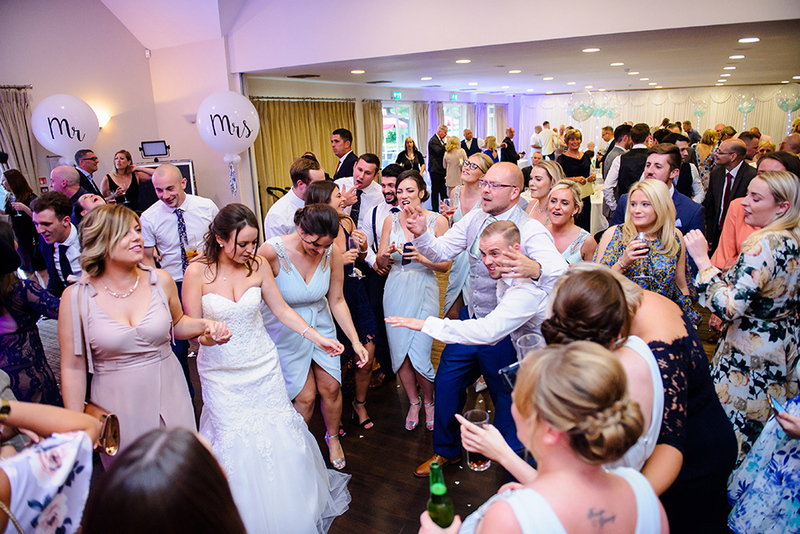 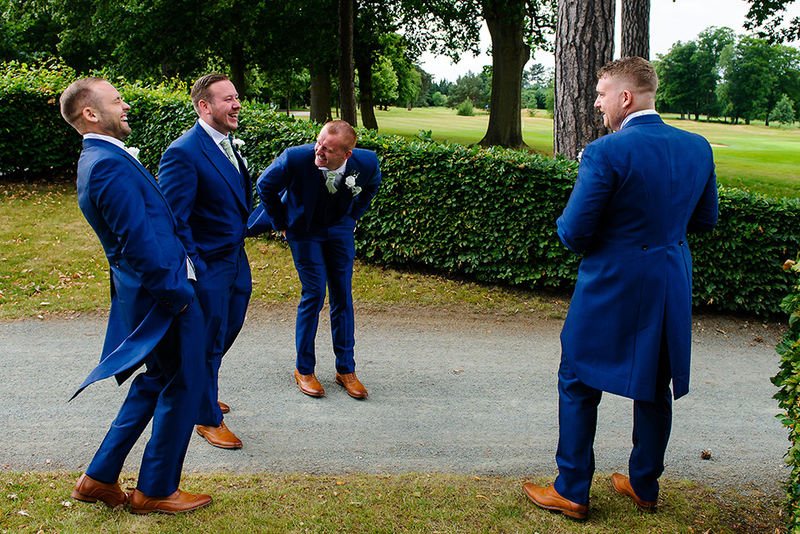 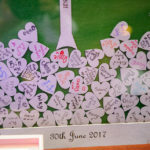 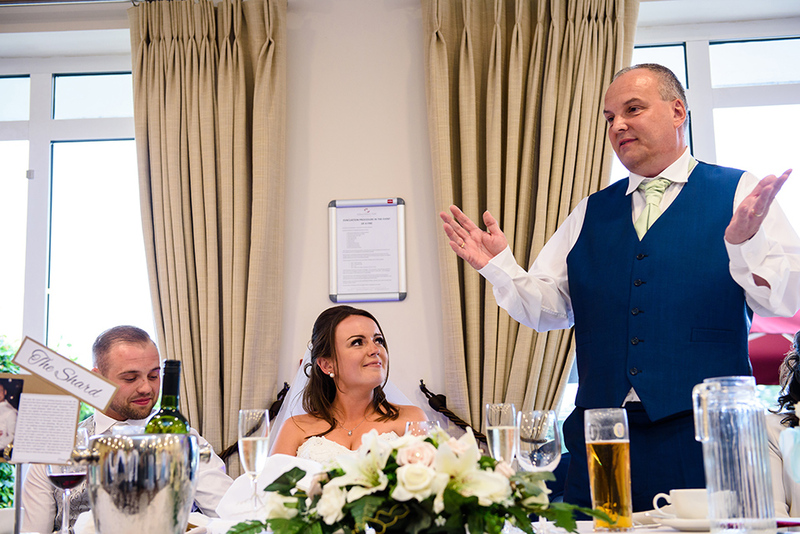 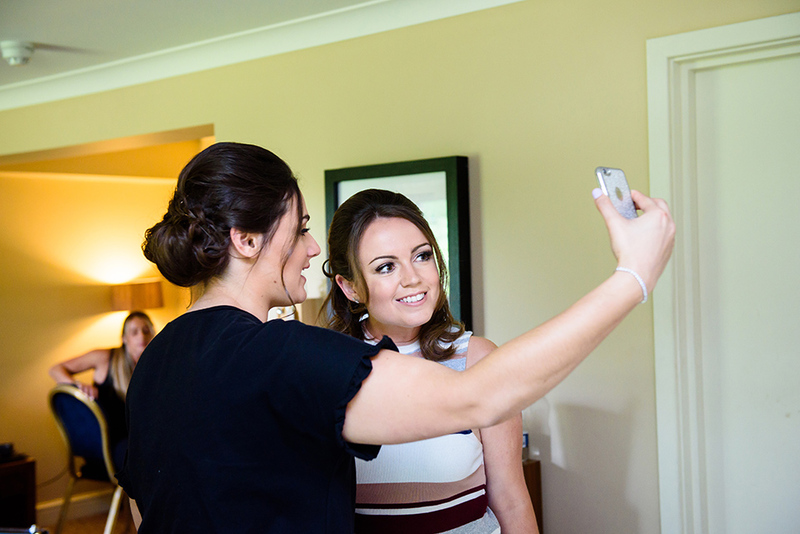 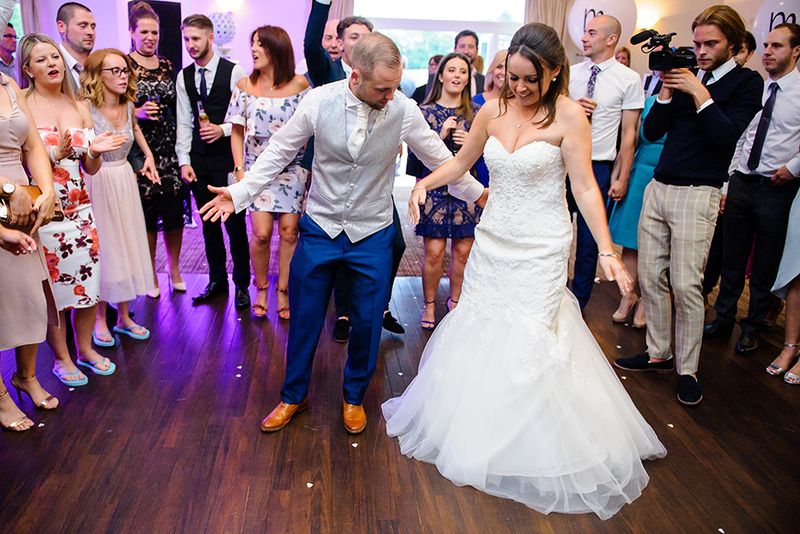 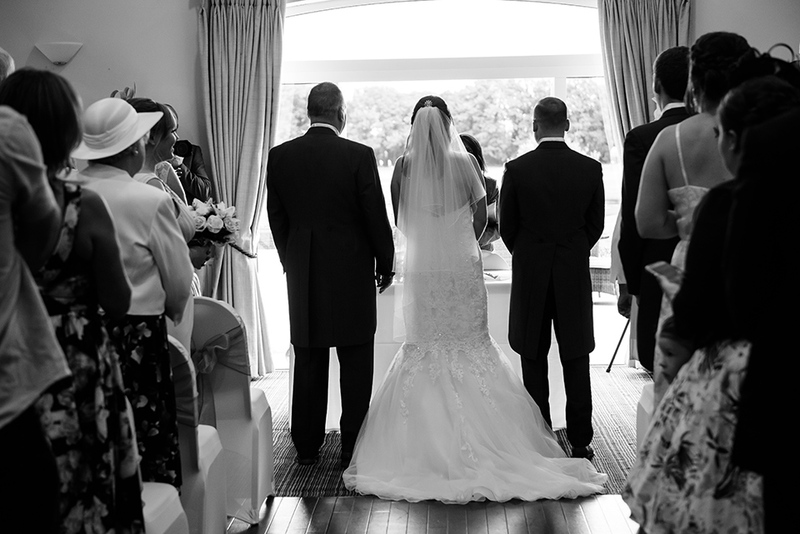 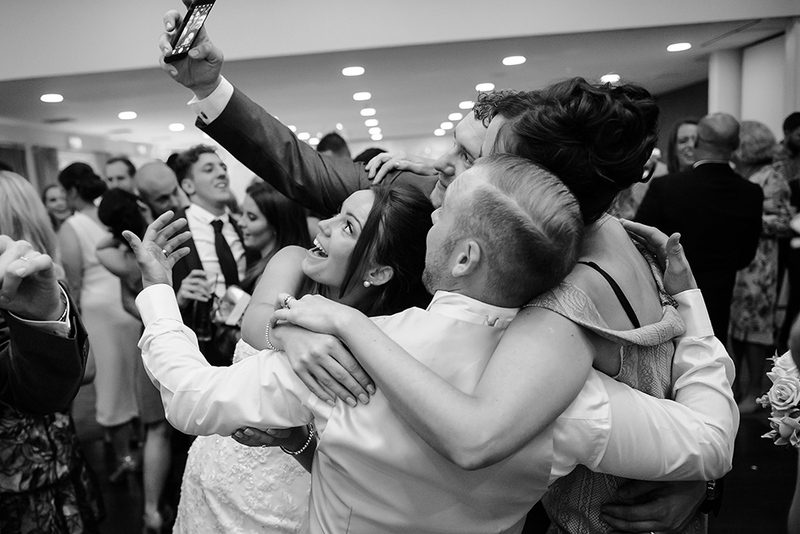 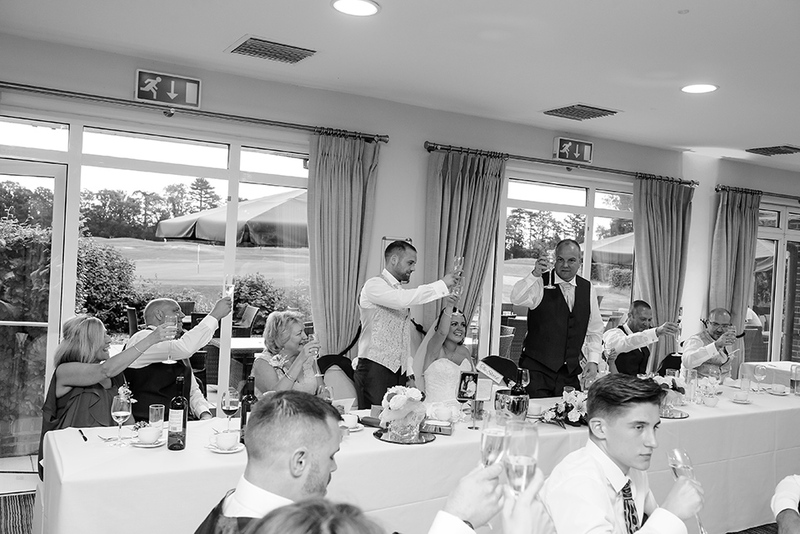 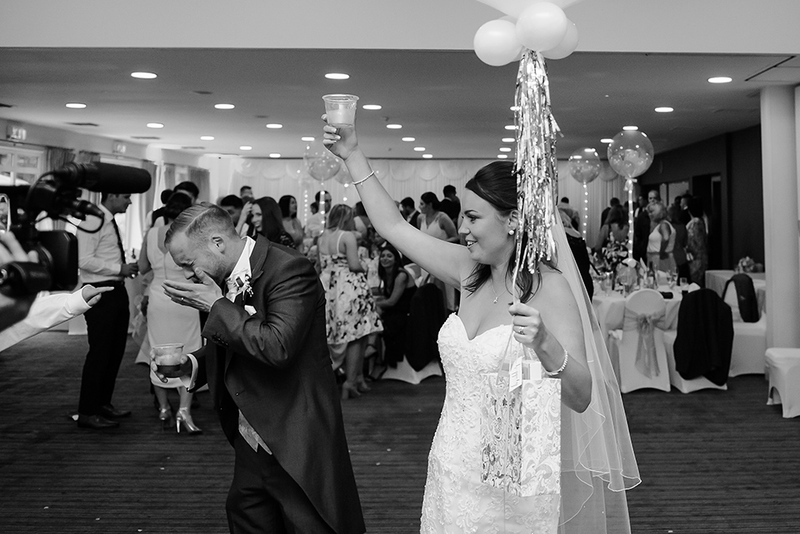 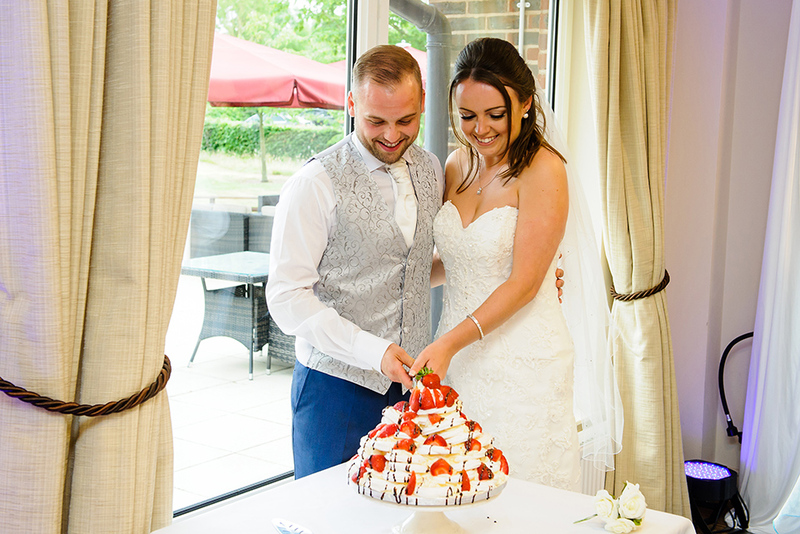 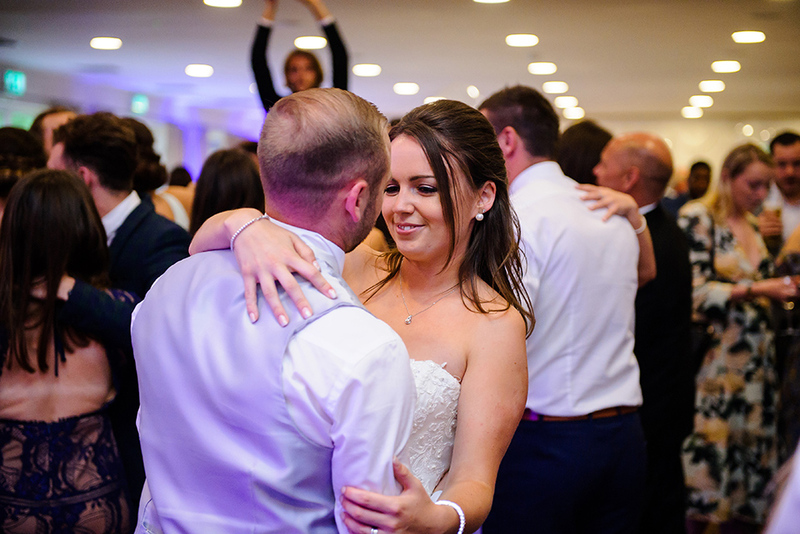 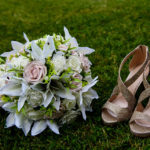 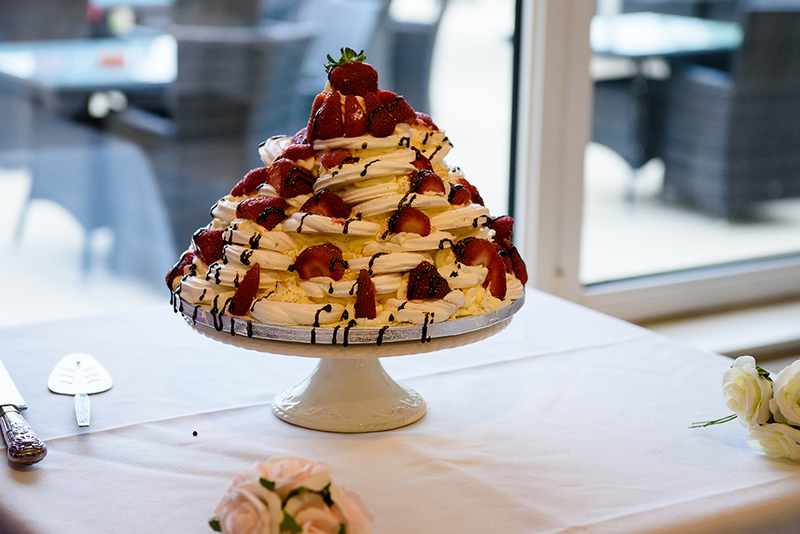 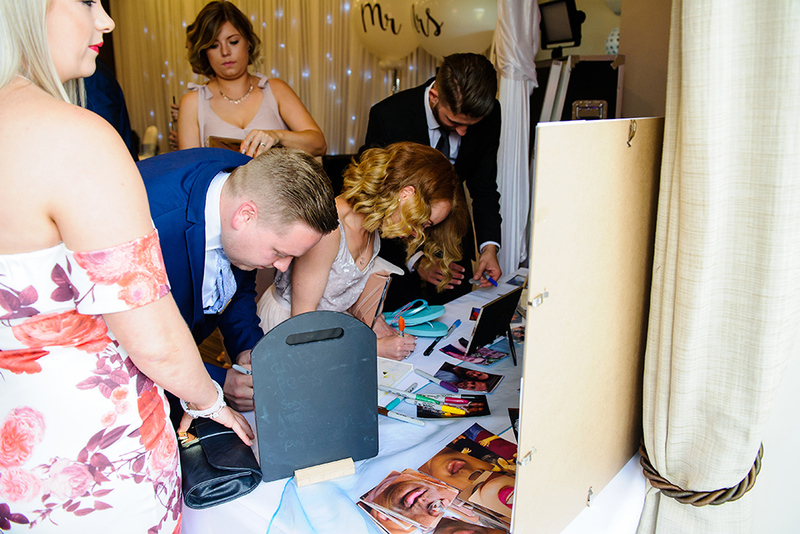 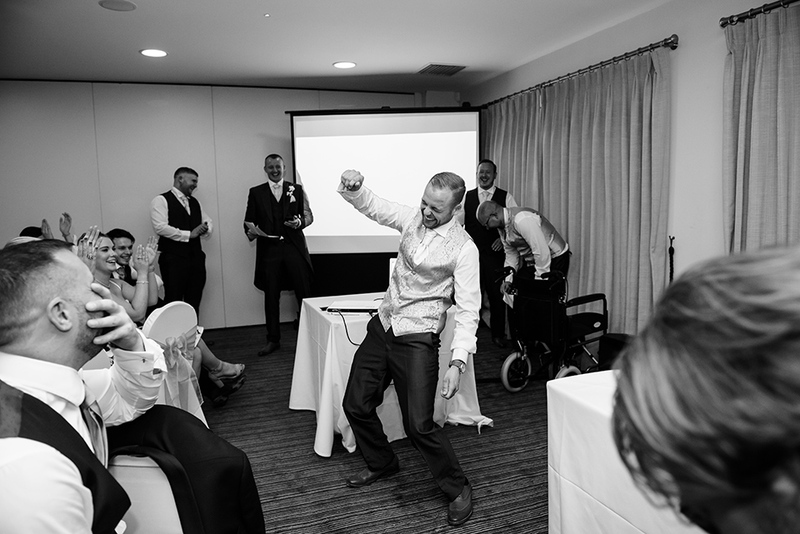 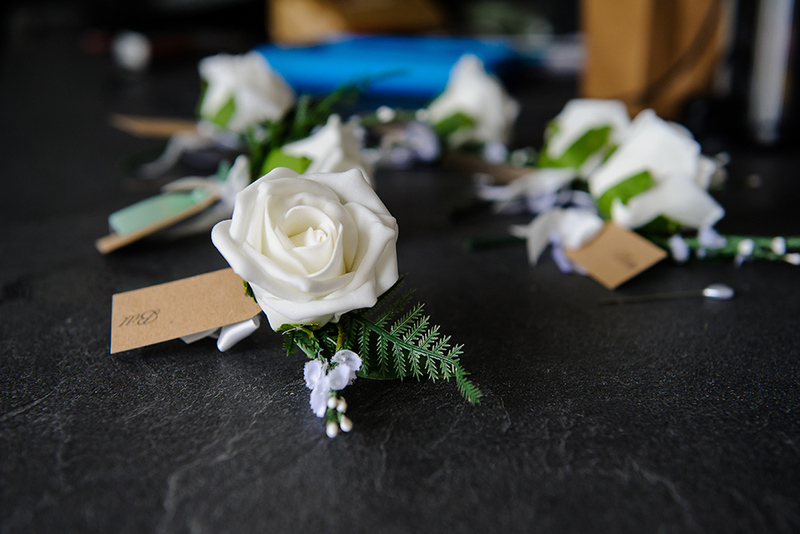 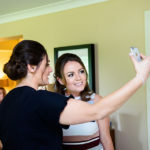 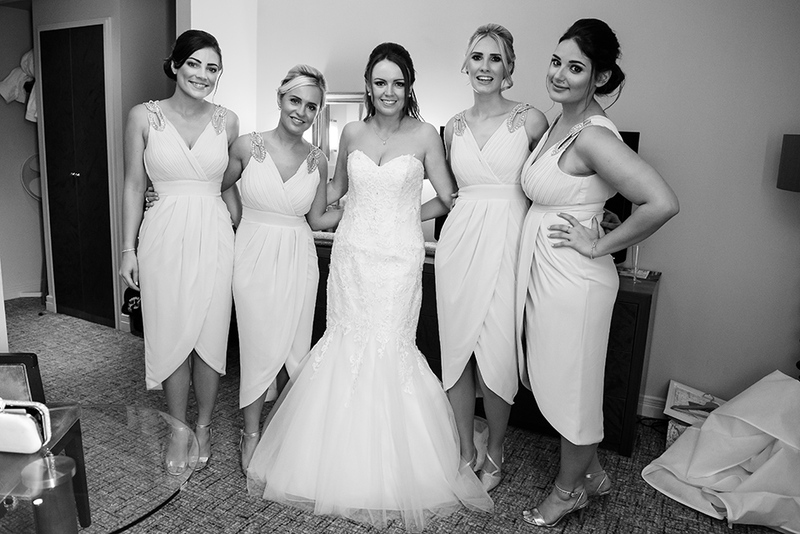 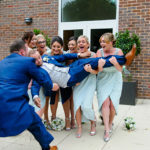 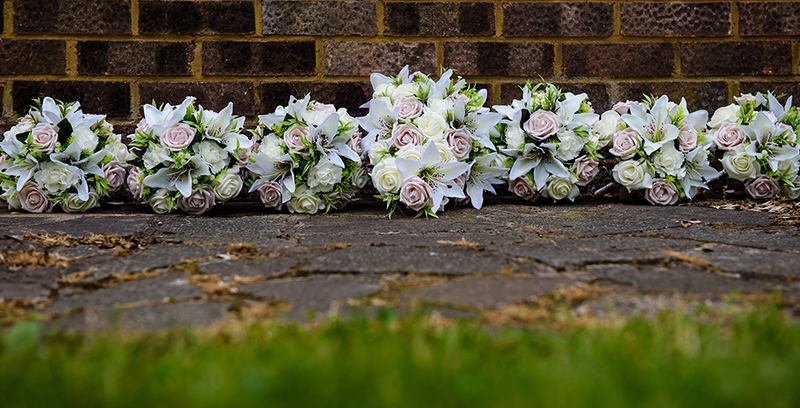 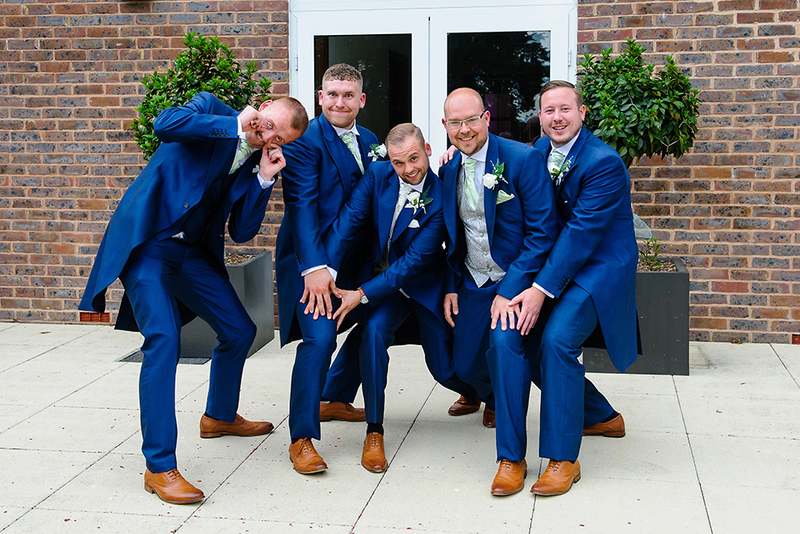 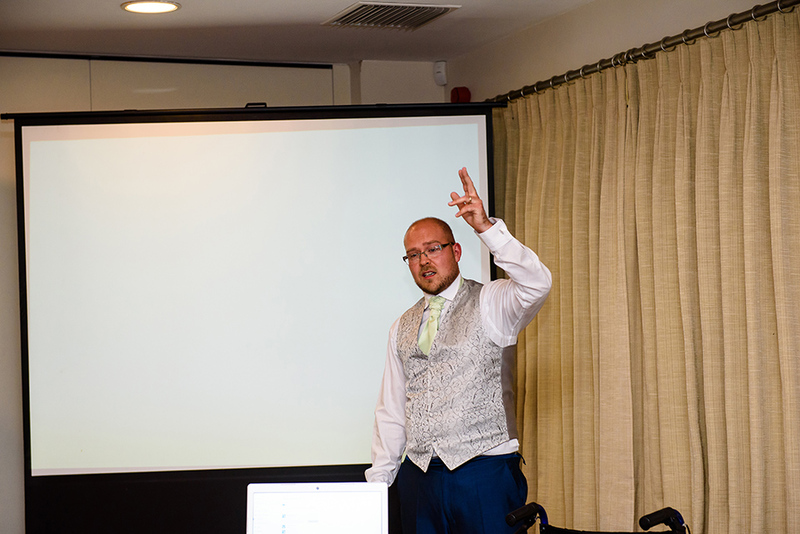 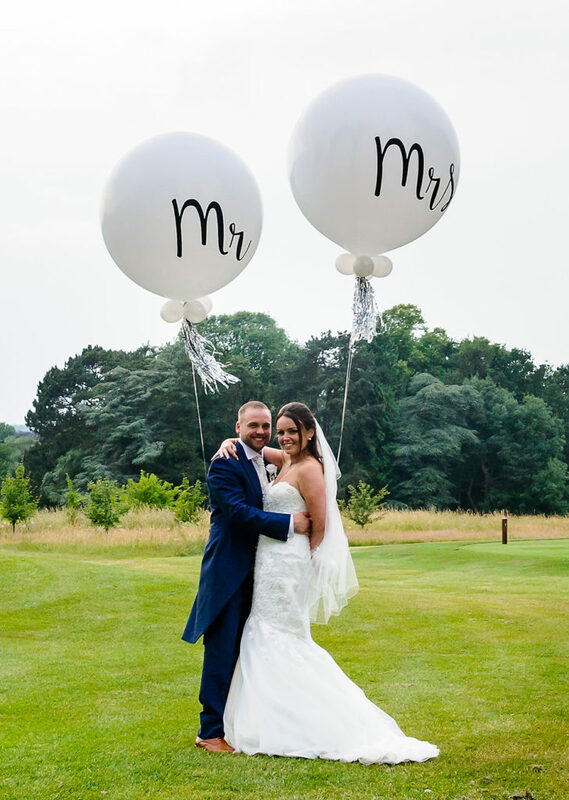 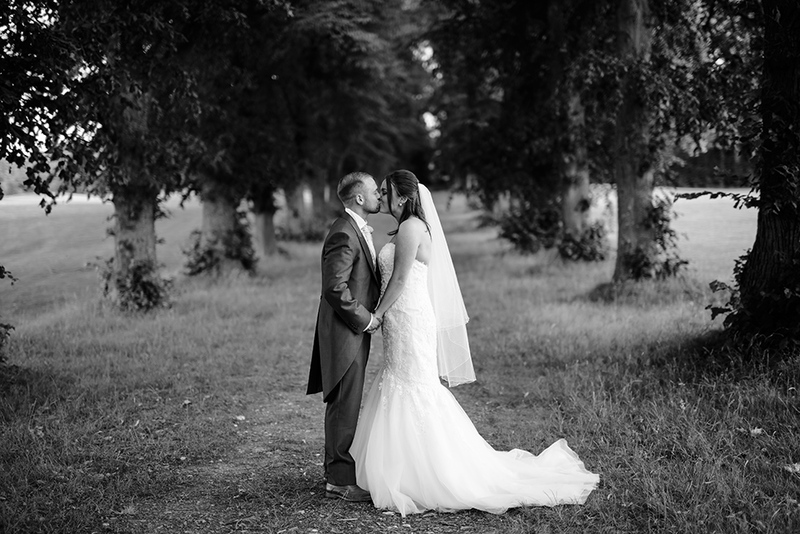 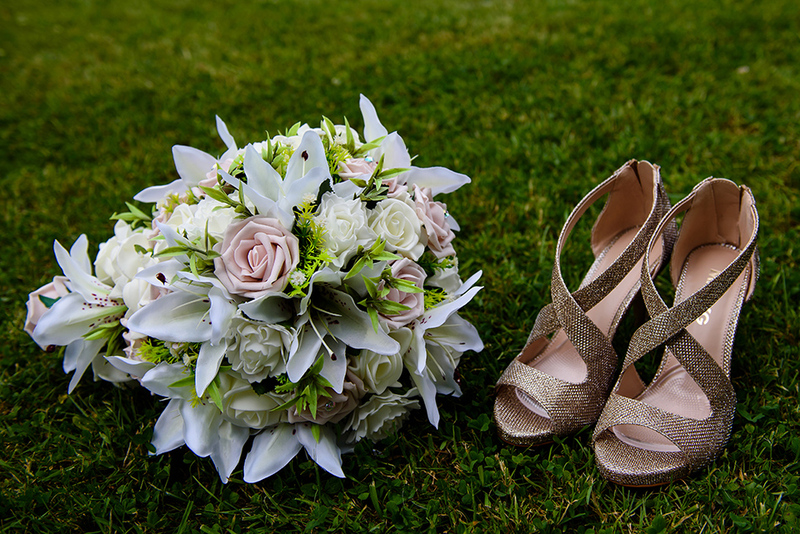 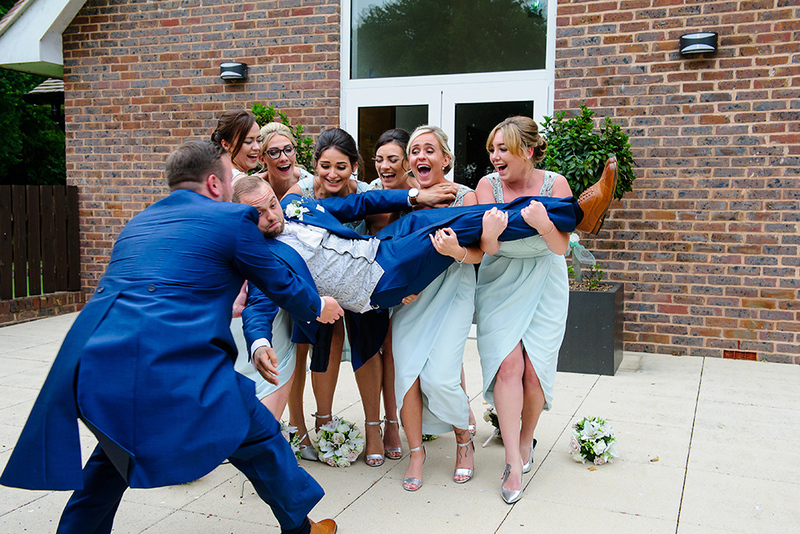 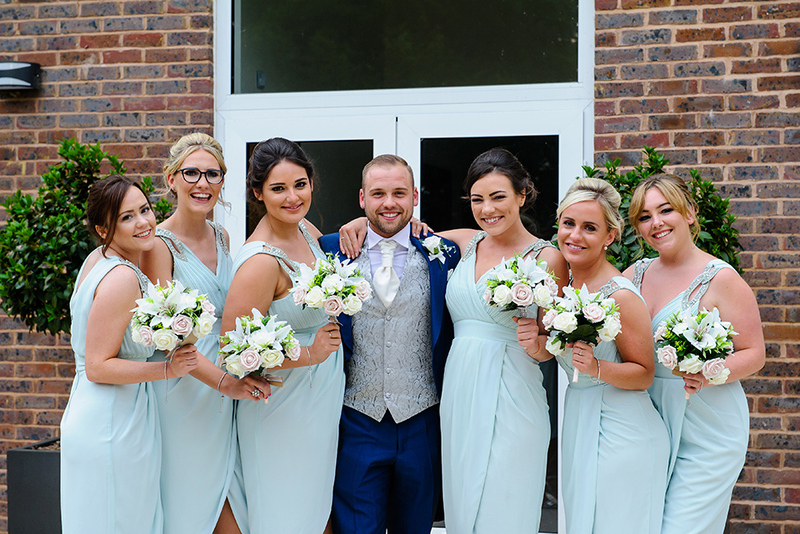 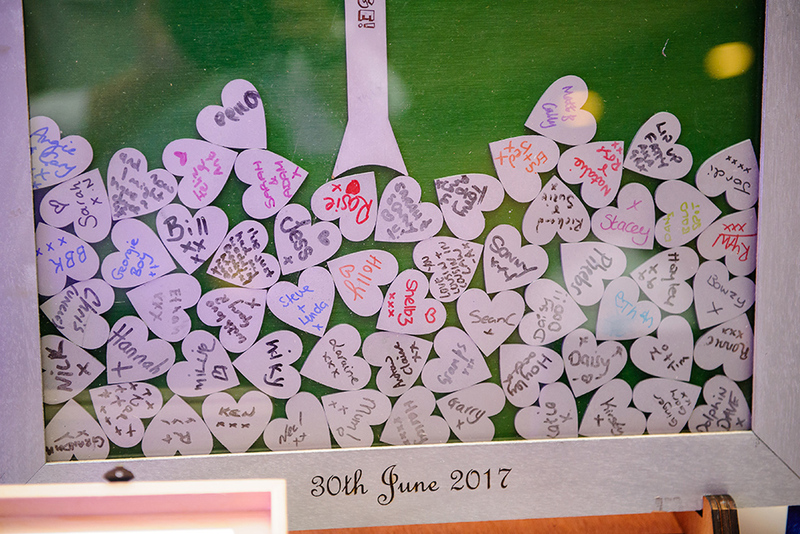 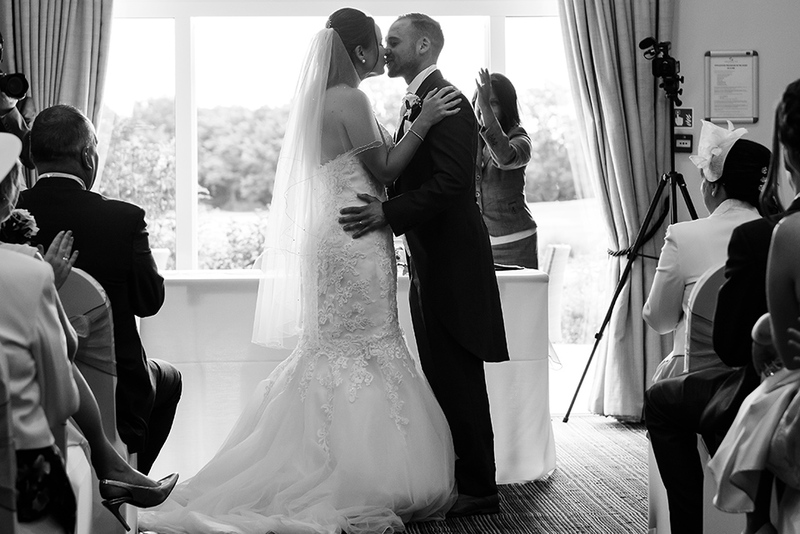 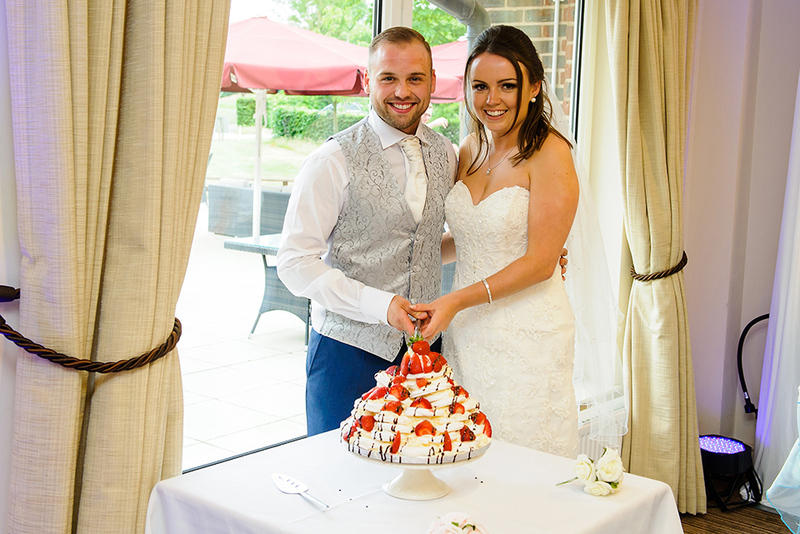 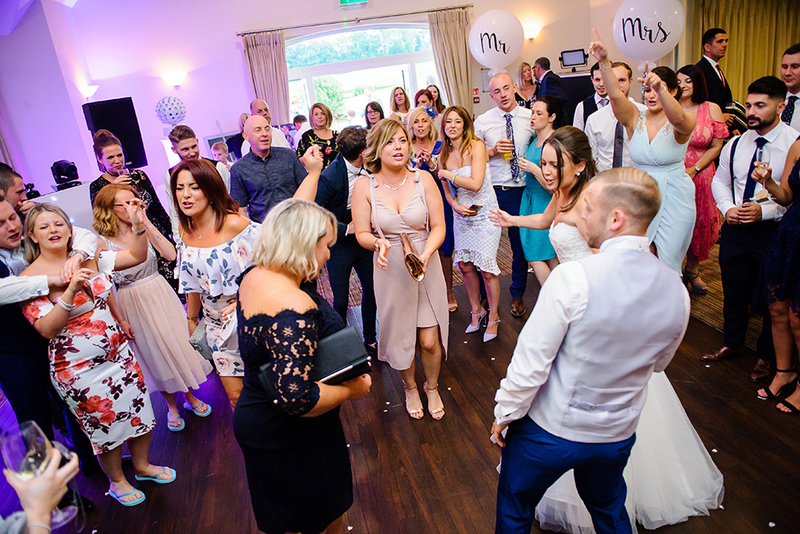 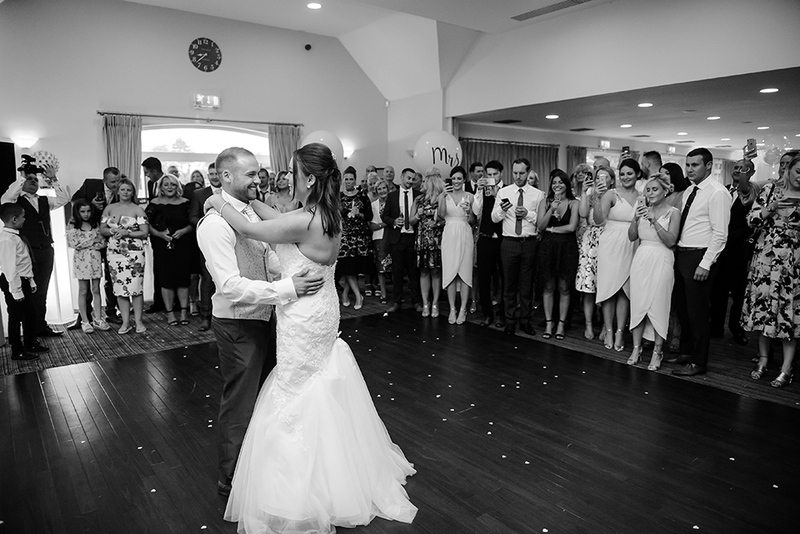 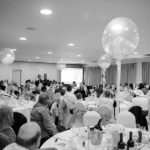 If you are looking for an Aldwickbury Park Golf Club Wedding Photographer or if you are planning a Aldwickbury Park Golf Club Wedding, please get in touch, we can help!